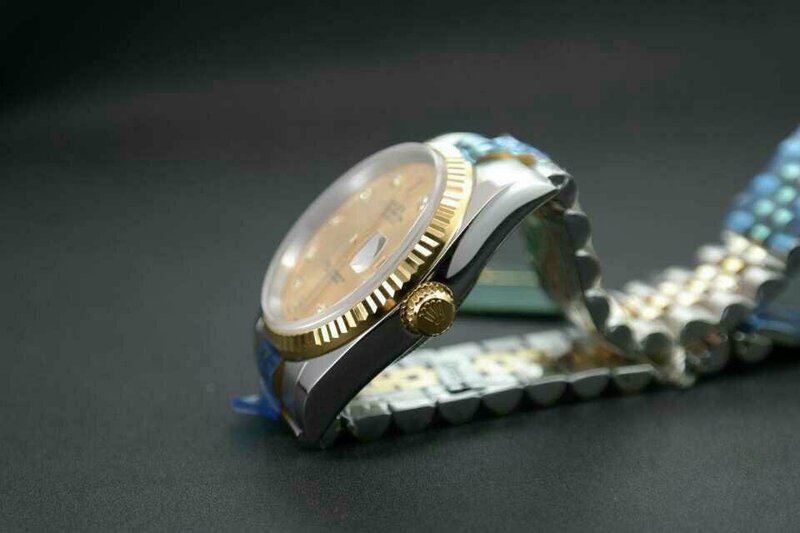 D-Blue and Black Submariner all belong to top replicas. 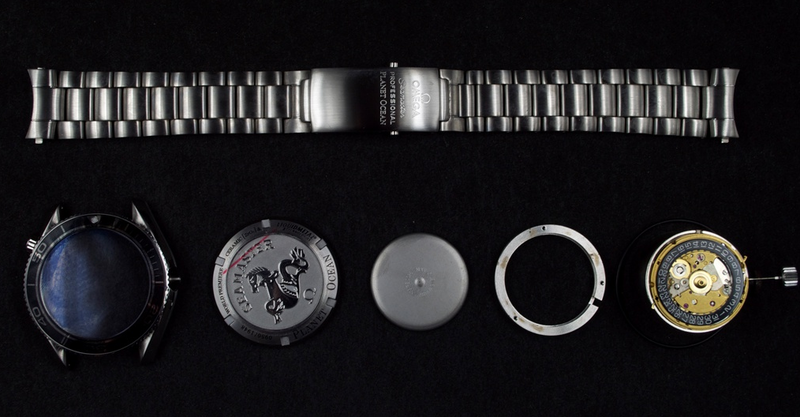 There are two movement options, Hangzhou 6300 and Shanghai 3135. 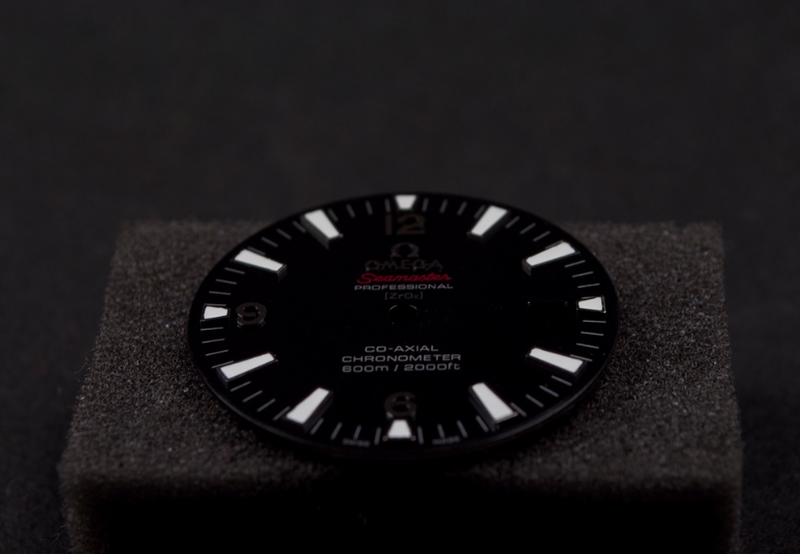 The size is 44mm and 40mm. 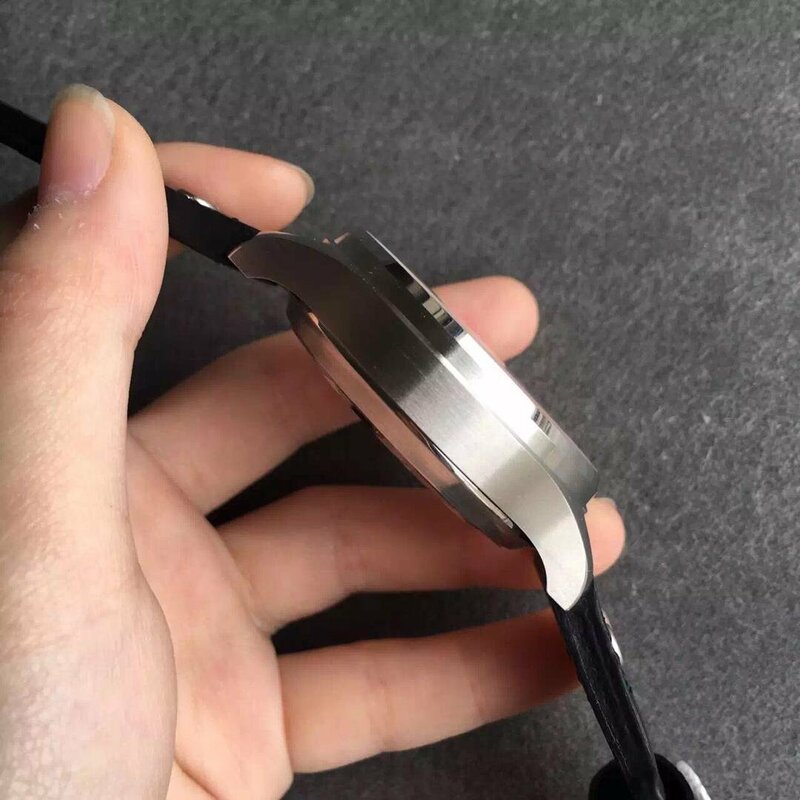 In my opinion, if you want a comfortable winding experience, choose 3135 movement, if you have a limited budget, then choose the cheaper 6300. 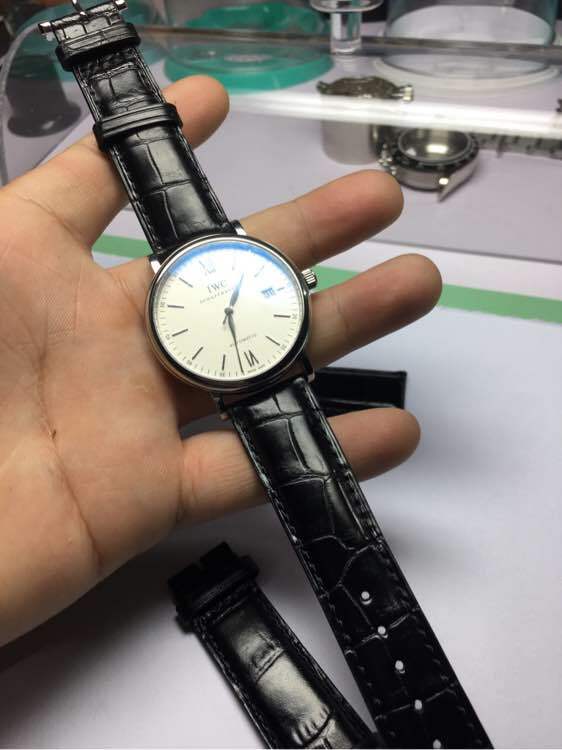 IWC371446, case diameter is 41mm. 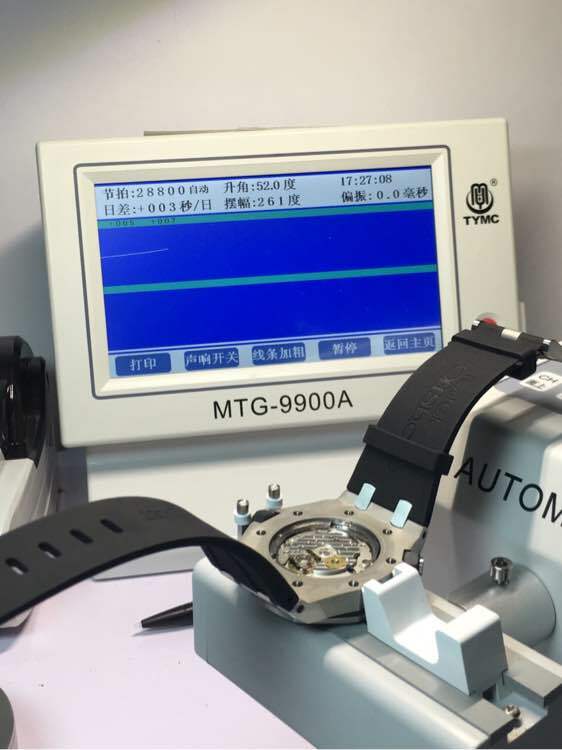 It uses the most stable Dandong chronograph movement. This Portuguese replica is made by GP, ZF or 3A factory. The version from GP factory is the best. 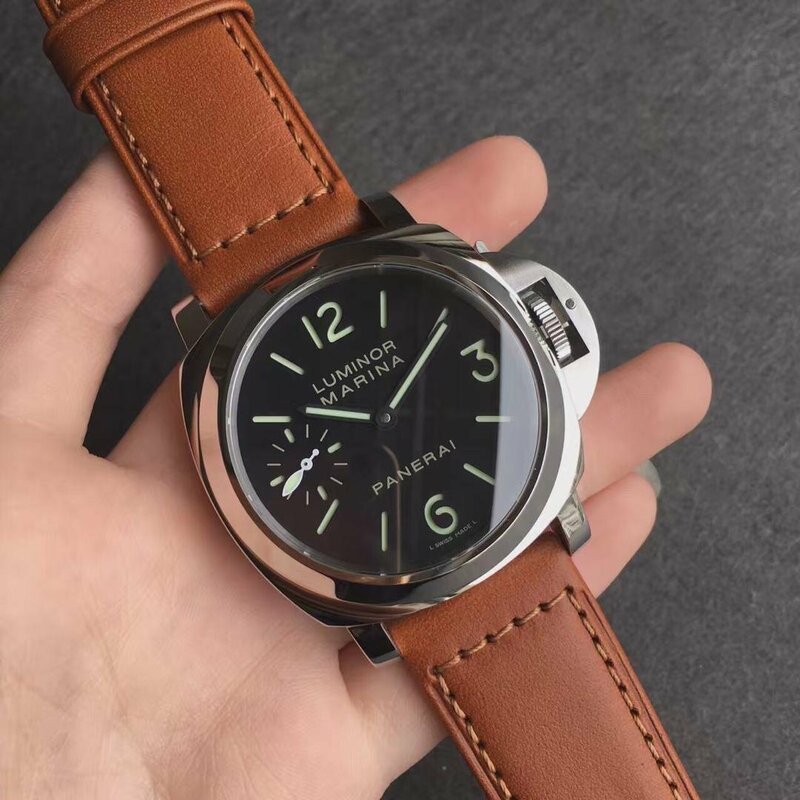 PAM 111, the must-have Panerai watch, because it is in high quality and with a cheap price. 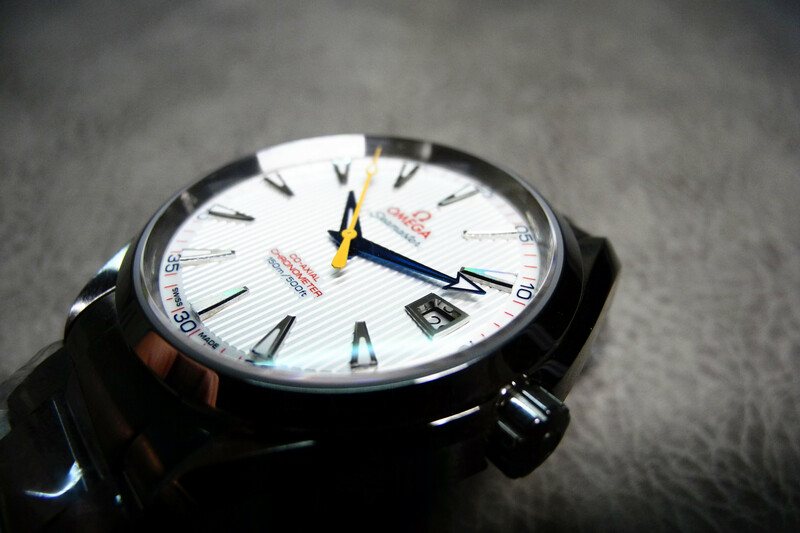 The replica is equipped with a Sea-Gull ST3600 manual winding movement, which is very stable. Ballon Blue, the classic of V6 factory, and also the best in the market. 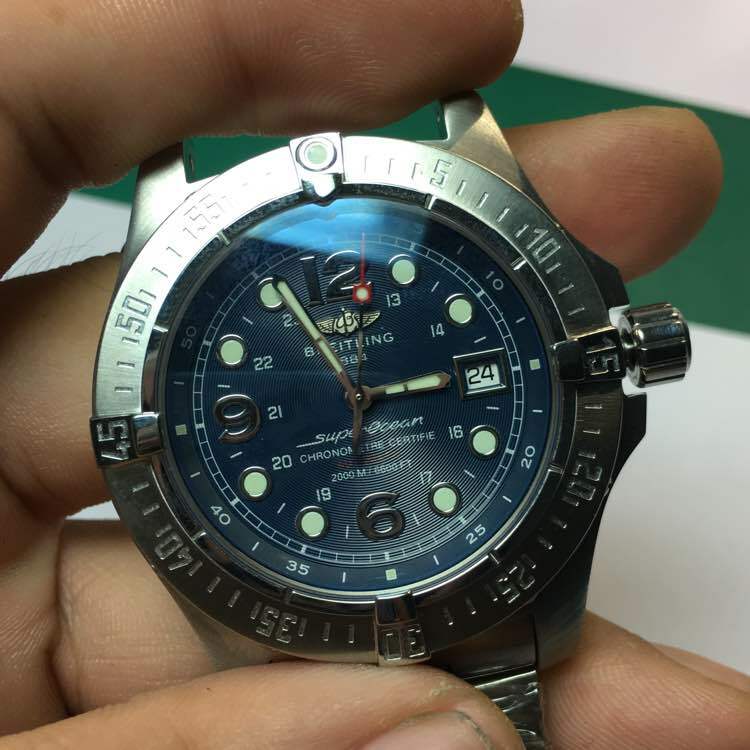 V6 factory makes three versions for Ballon Blue, one is with Sea-Gull 2824, one is with ETA 2892, the last uses Sea-Gull 2892. 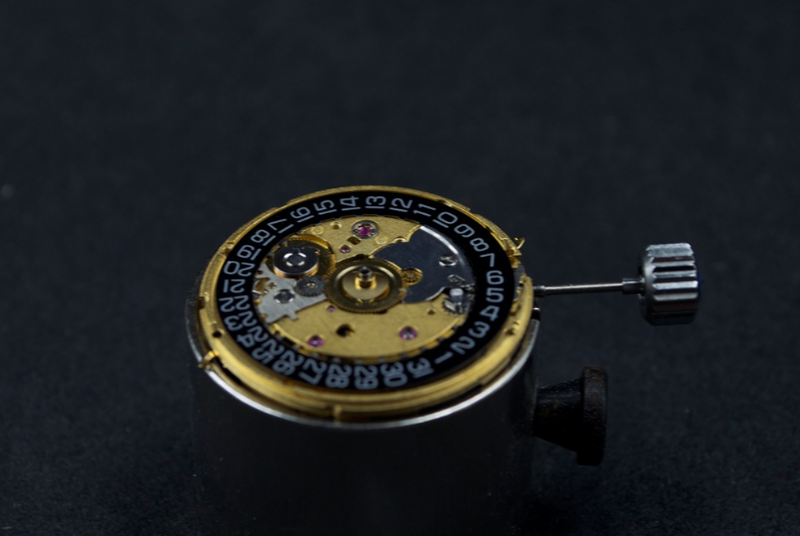 The one with genuine ETA 2892 movement is the best Ballon Bleu, and absolutely sold at a high price. 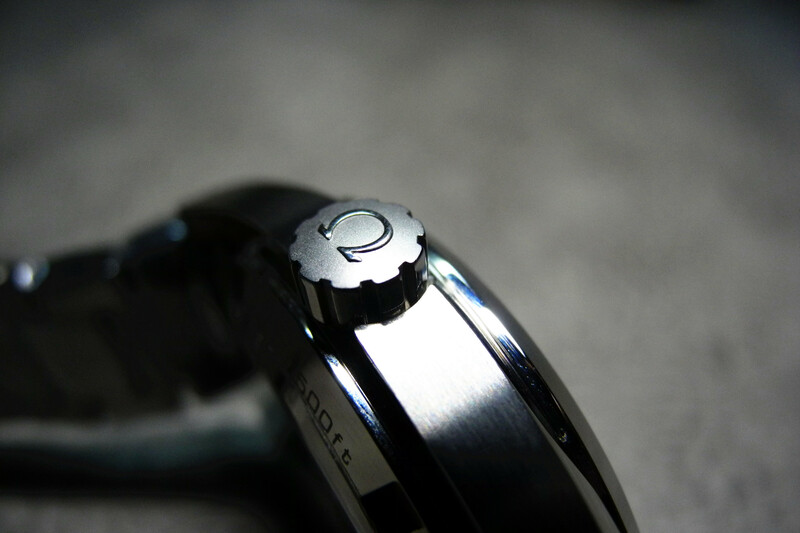 Rhodium plated dial has a strong three-dimensional feeling. Steelfish from H factory is very cost-efficient, it has a considerable finishing and weight. 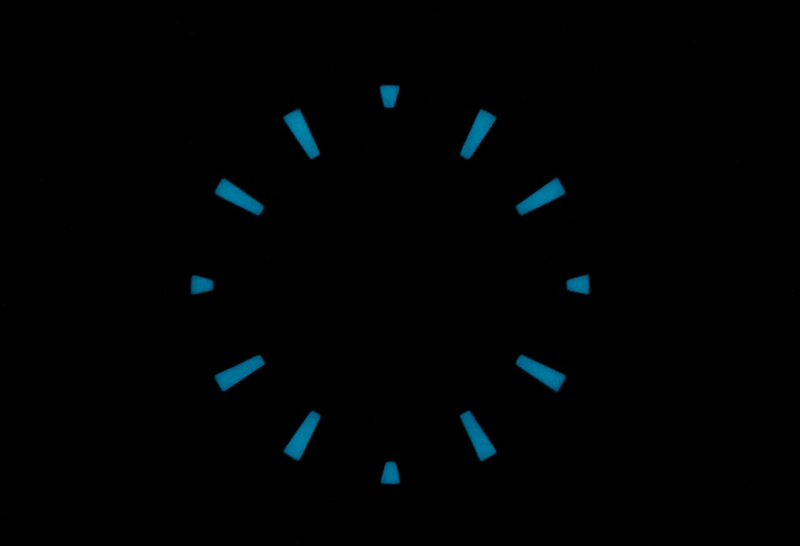 The dial has black and blue options. 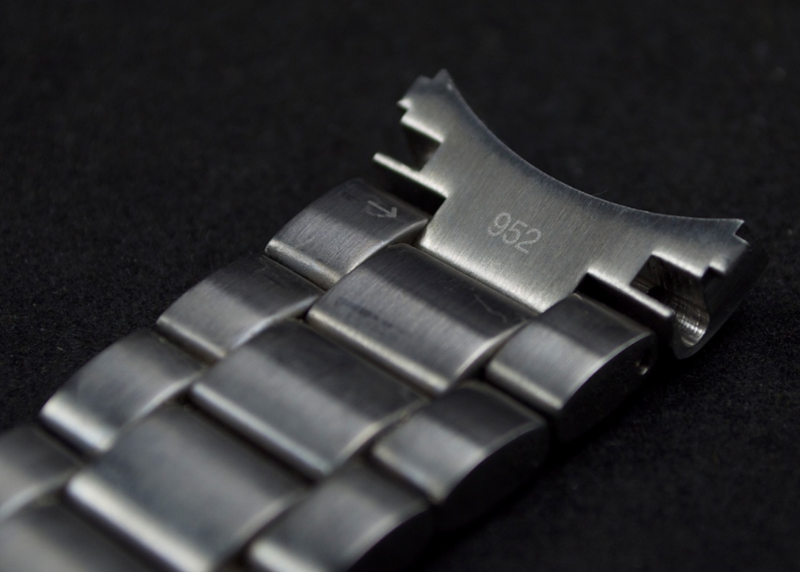 AP 15703 is an important milestone in replica watch world. 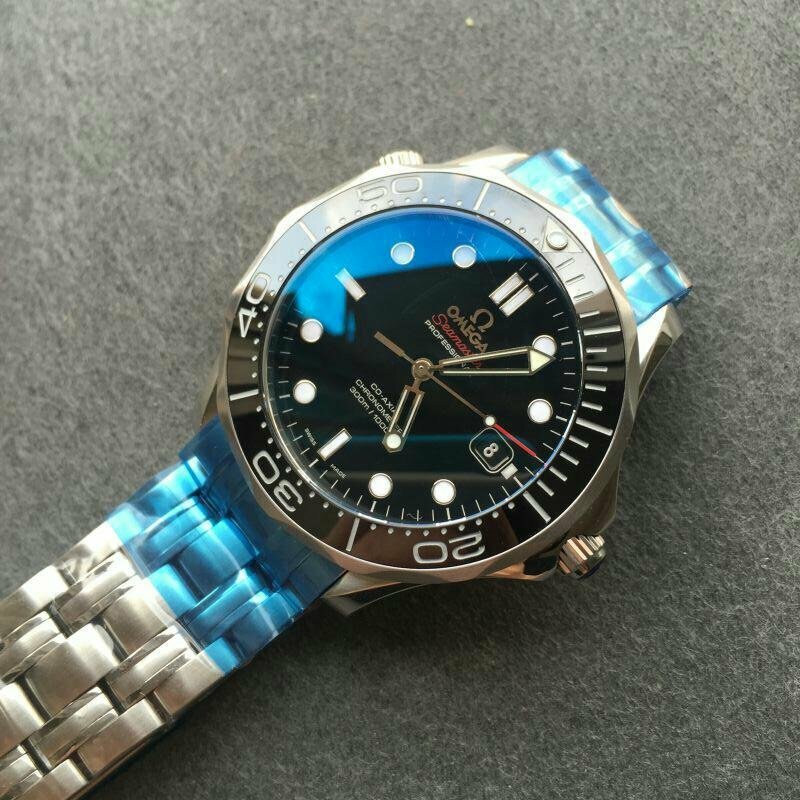 I recommend the 15703 replica made by JF. 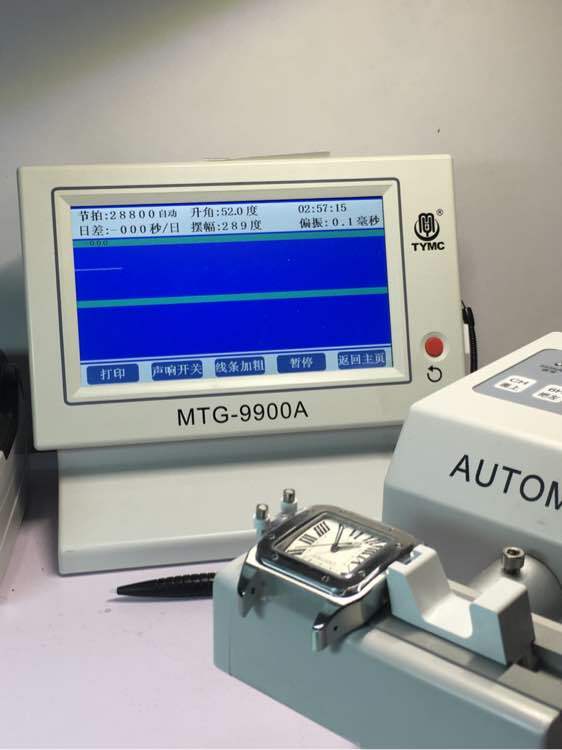 If you want a better price, choose V7 with 2824 movement, considering a more stable movement, you can choose V8 with Miyota 9015. Now black Sub comes. This replica has already been manufactured well. 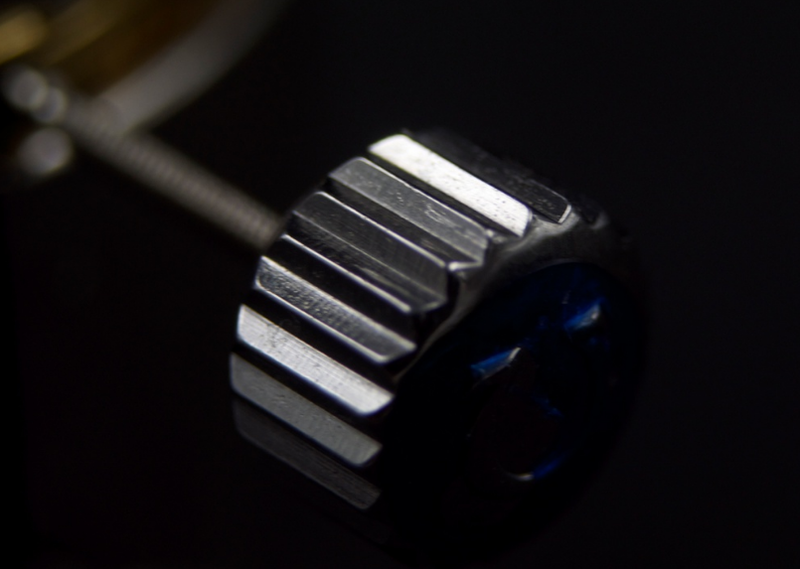 About movement, I prefer 3135, the winding direction is correct and winding feel is very good. Highly recommended. 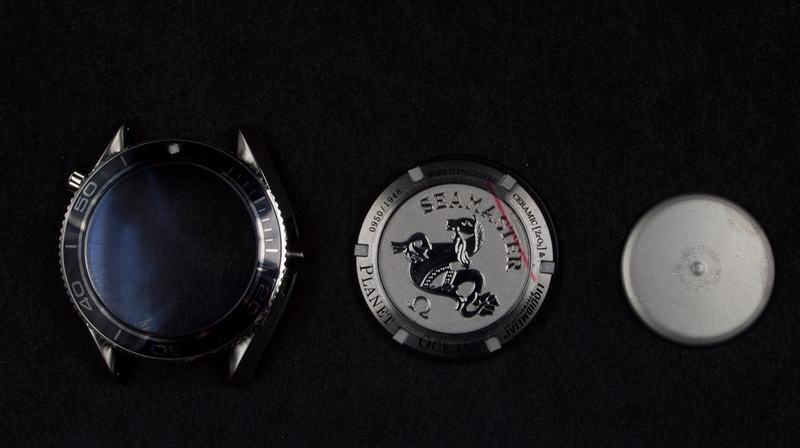 Santos, the one above is equipped with a genuine ETA 2892 movement. 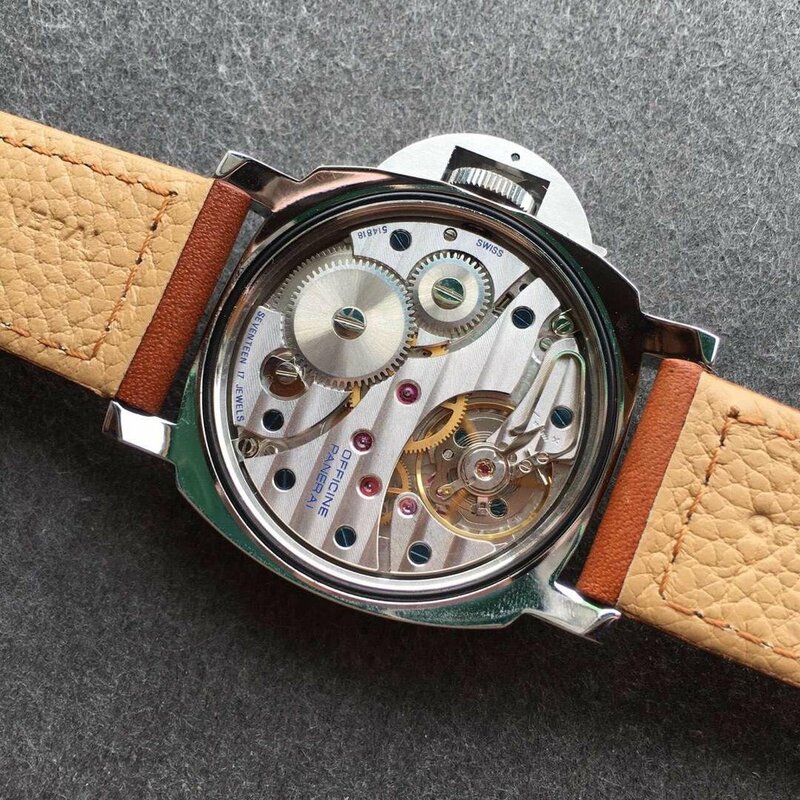 However, I recommend the replica Santos with a Sea-gull 2892 movement, because it has a good case, dial, the movement is also quality, but the price is much cheaper. 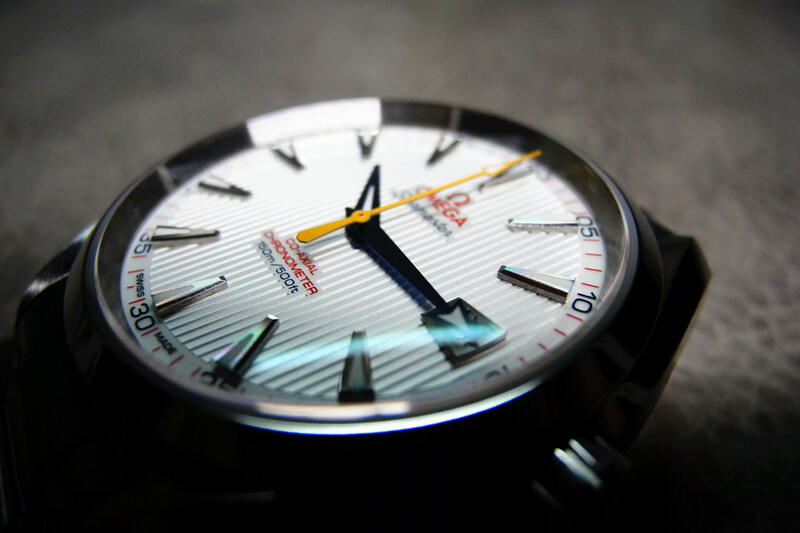 Portofino, this watch has the best version from MK factory. 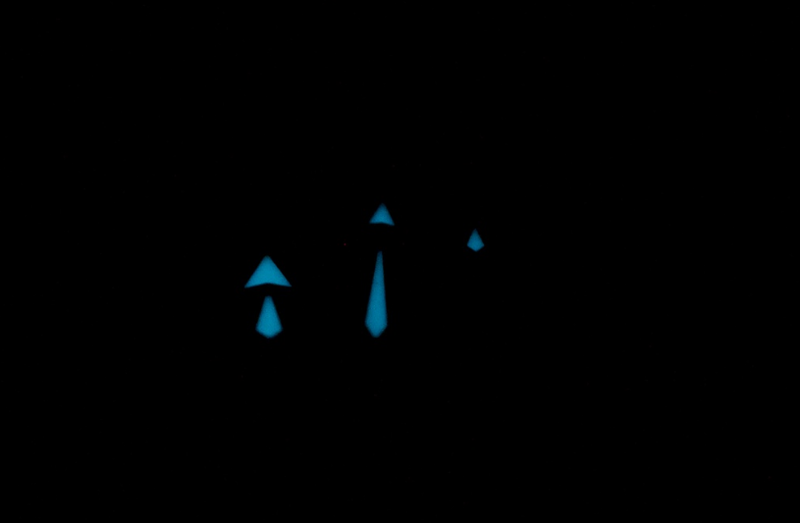 Perfect replica level, 2892 movement. 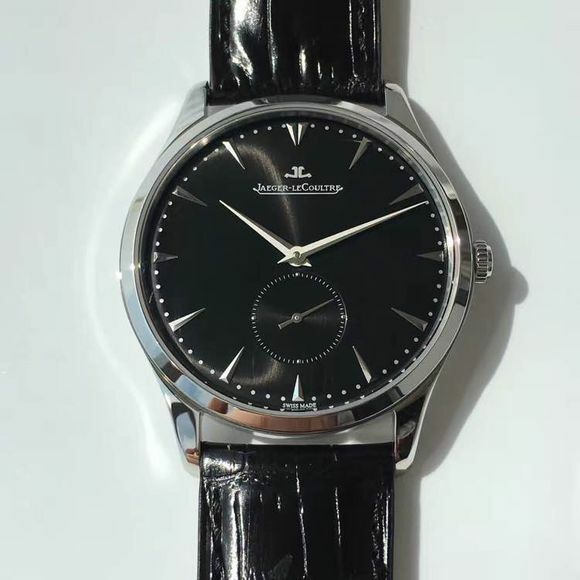 The last one is a Jaeger-LeCoultre. It is the latest good replica in the market. The crystal has a green AR Coating, very unique. 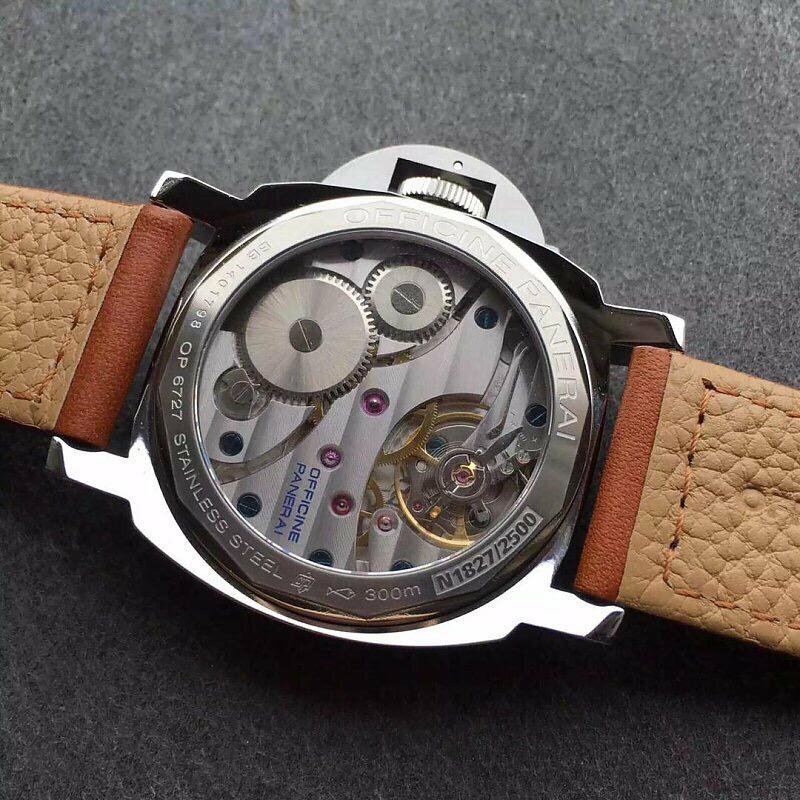 Movement uses Tianjin ST17 automatic. 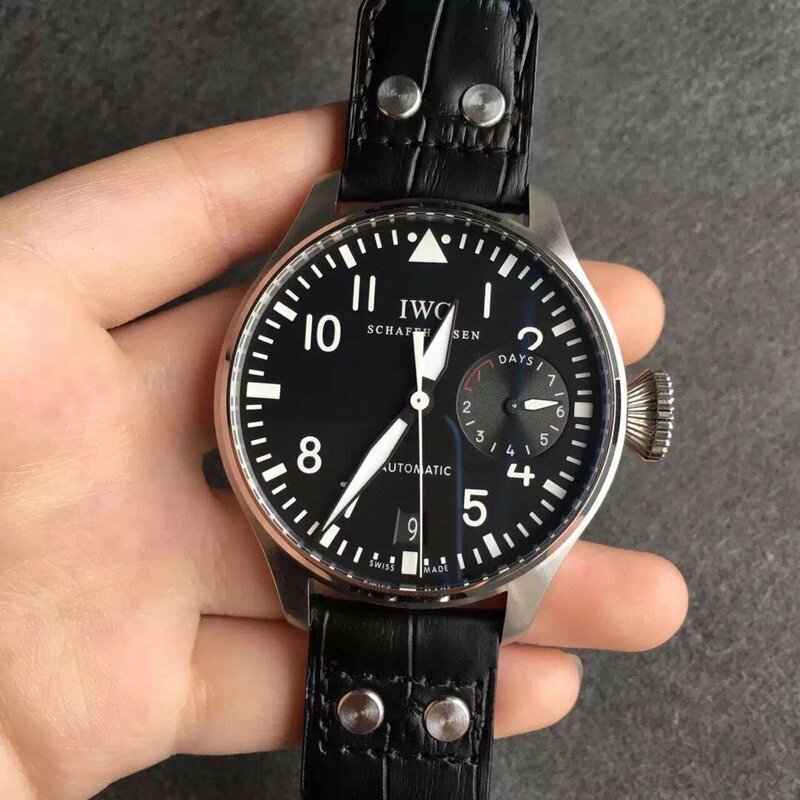 In 2008, a small factory cloned IWC Big Pilot, whether its appearance or movement, it has a large gap with genuine watch, the power reserve is faux. 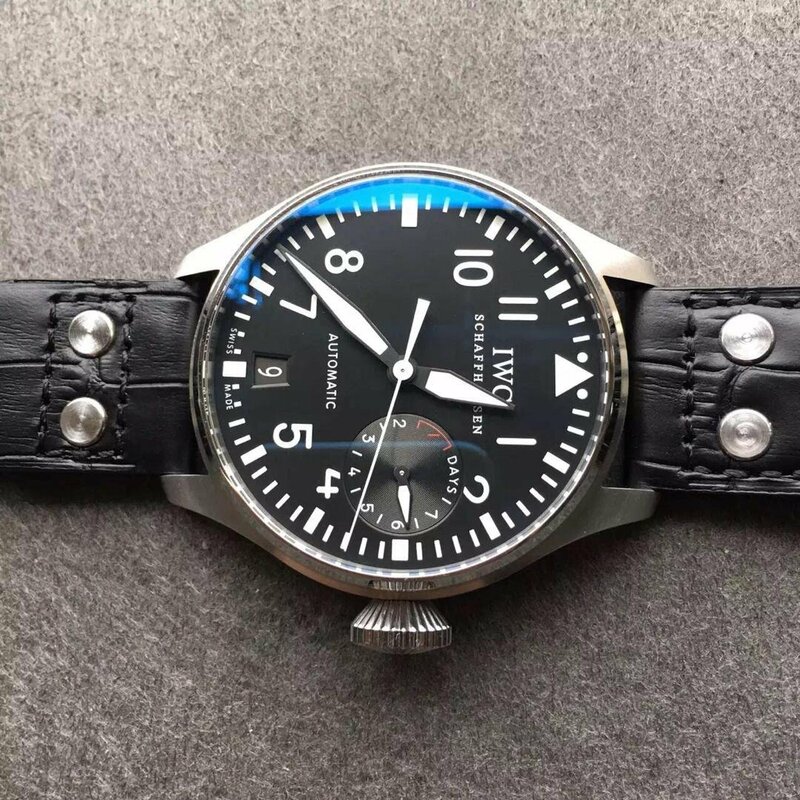 After seven years, Z factory built this Big Pilot again, they updated the dial and movement construction, even the power reserve is real, which was increased from 42 hours to 12 hours. 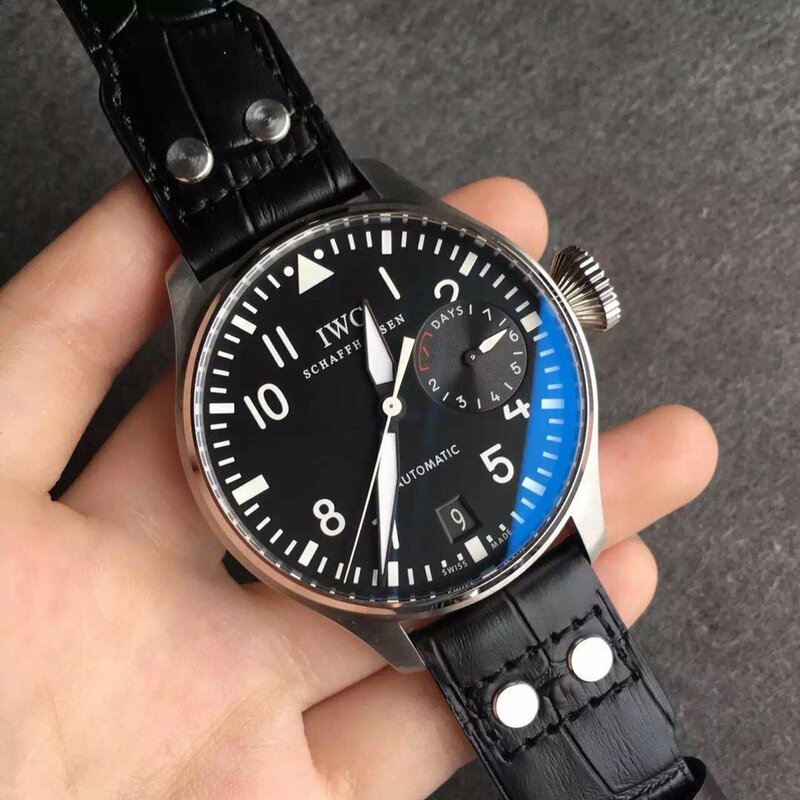 Big Pilot is one of the most classic series of IWC, the genuine watch is also sold at a high price, so, to have such an 1:1 replica is a dream of many people. 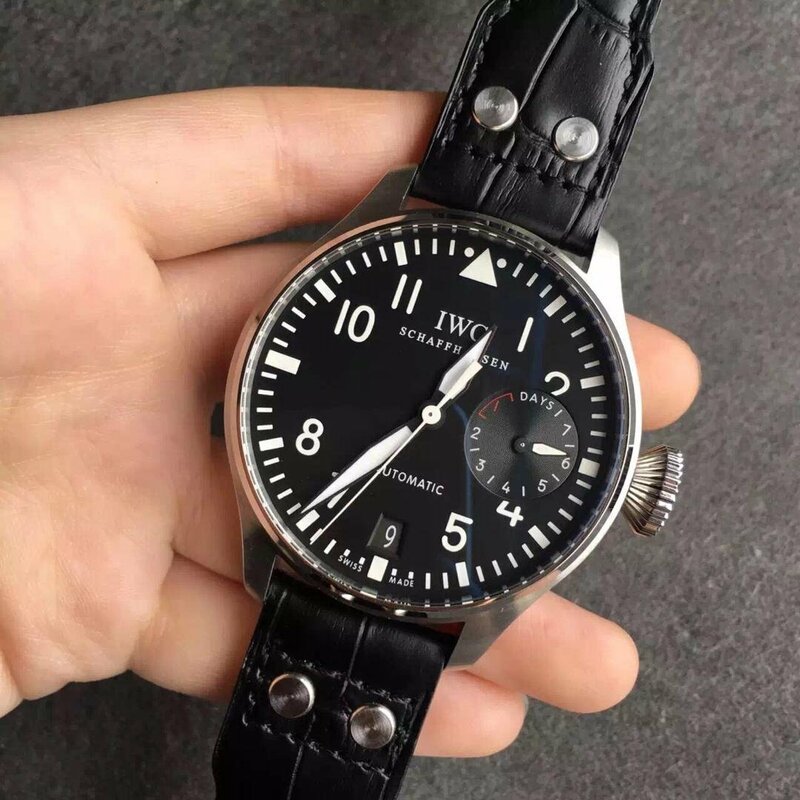 Here I will give a review of Big Pilot IW500901 replica watch, which is a great timepiece with perfect function and closest movement. 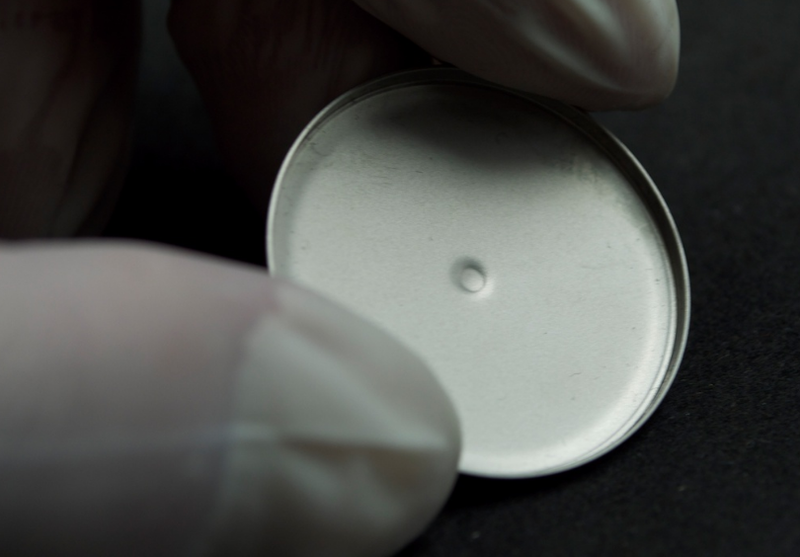 Big case is brushed and almost has 47mm in diameter. 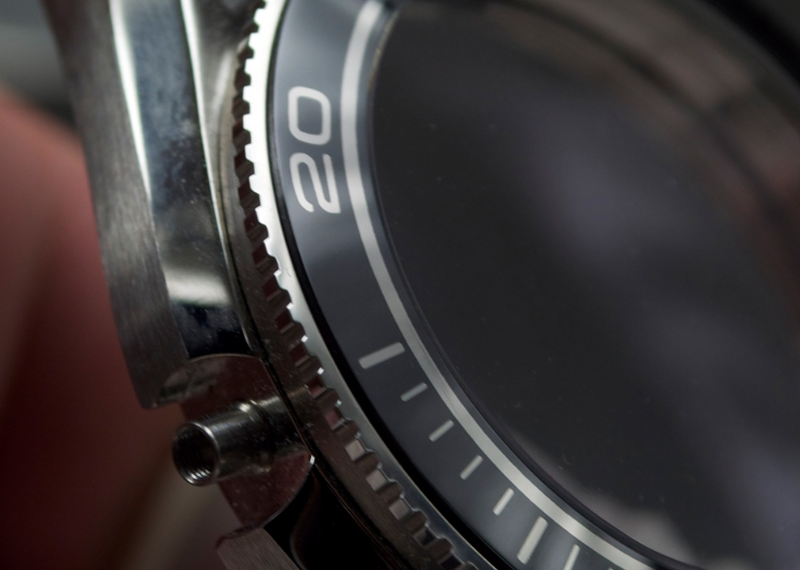 The Pilot watch has a common case design that is similar to dress watches, its dial completely shows every thing clearly in front of your eyes. 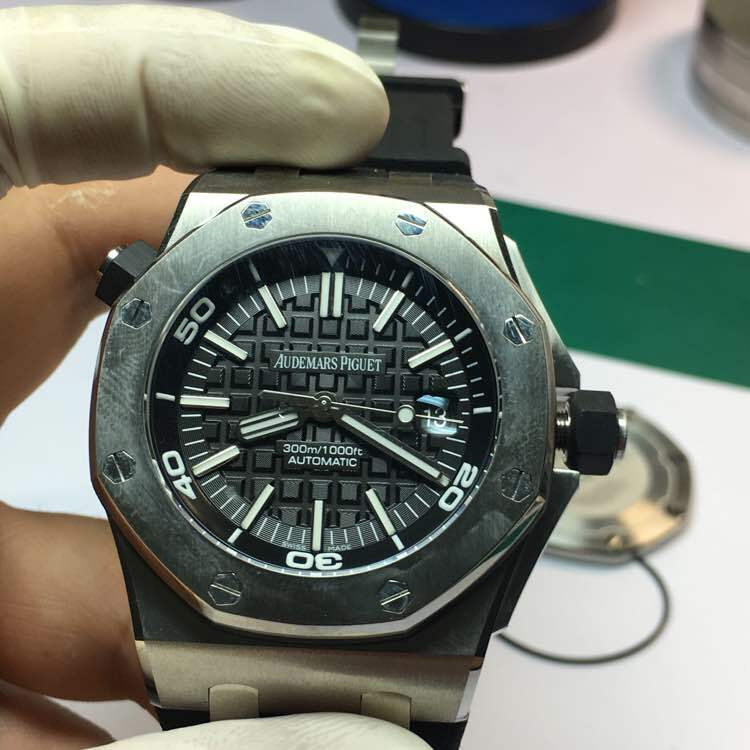 Seeing from the side of the case, you will find out the difference between 1:1 replica and those cheap replicas. 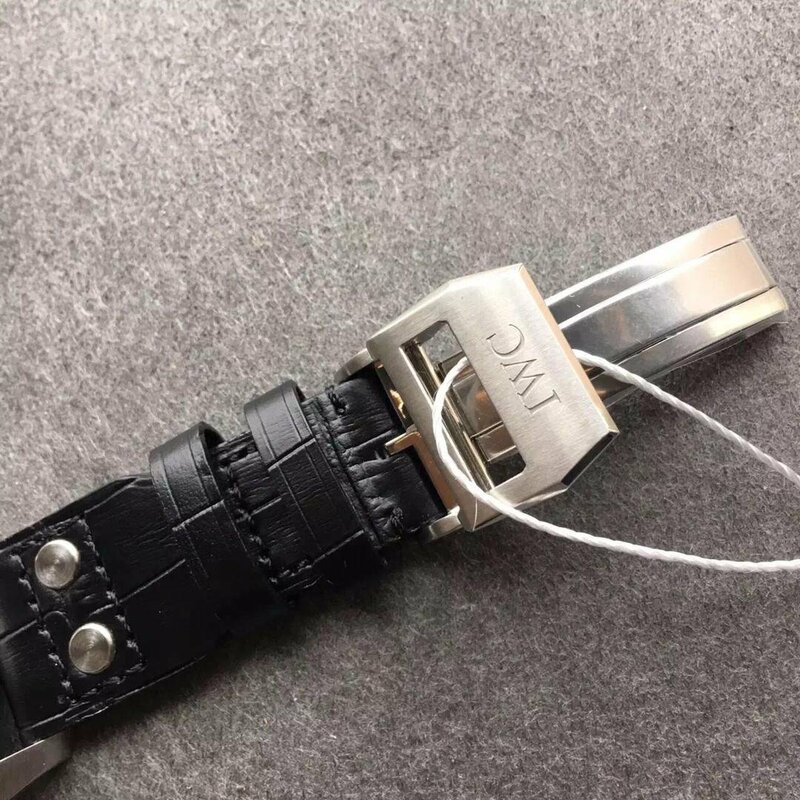 The replica IWC is polished well, especially its bezel, it has a polished silver edge that looks like a mirror. 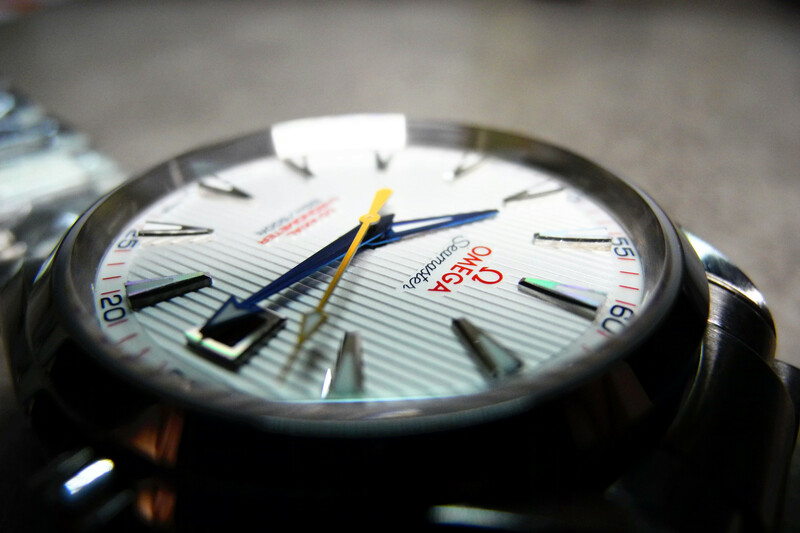 The streamlined design of the case ensures a great fit to your wrist. 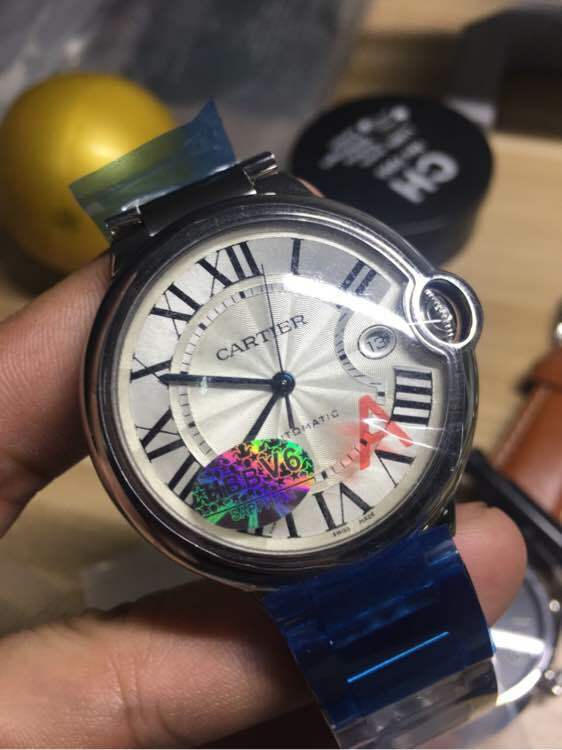 Please check some photos below, the crystal reflects a little hue when under a certain angle, this indicates the sapphire crystal has a layer of anti-reflective coating. 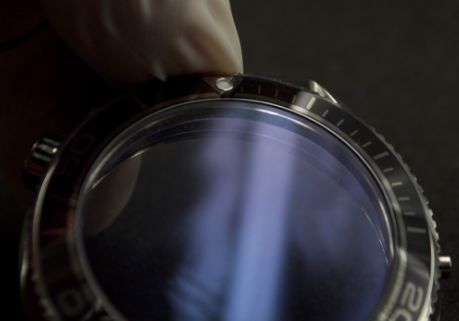 So the dial is very clear even under the sun light, it seems like the crystal is invisible. 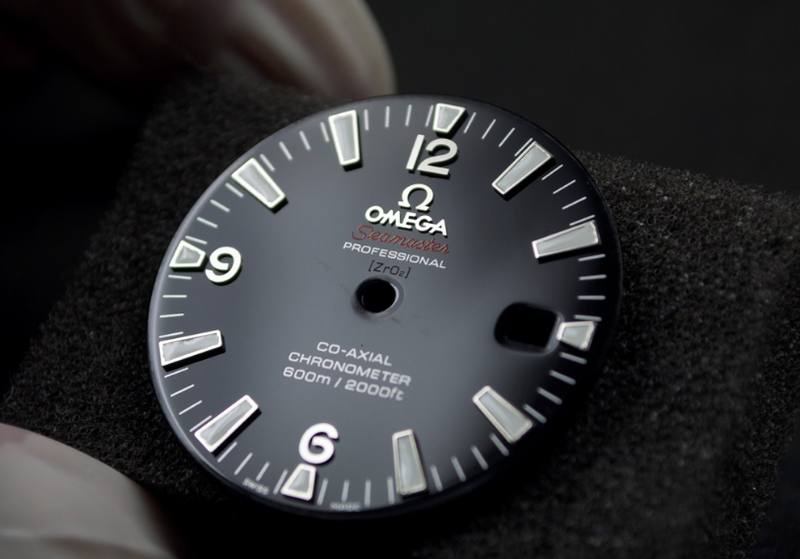 Black dial is highly readable because of those large white hour markers and hands. There are numeral hour markers except at 3, 6, 9 and 12 o’clock. 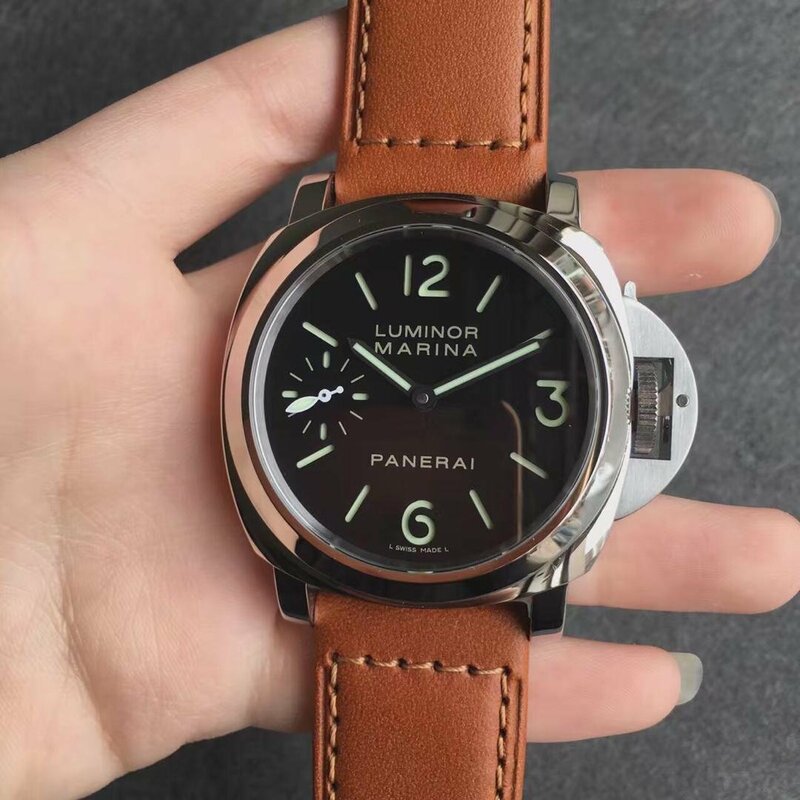 The whole dial design meets the strict military requirement not only because the contrary color usage of black and white, but there are also lume material applied on markers at 3, 6, 9, 12 and central hour and minute hands, so the dial is readable even in the dark. 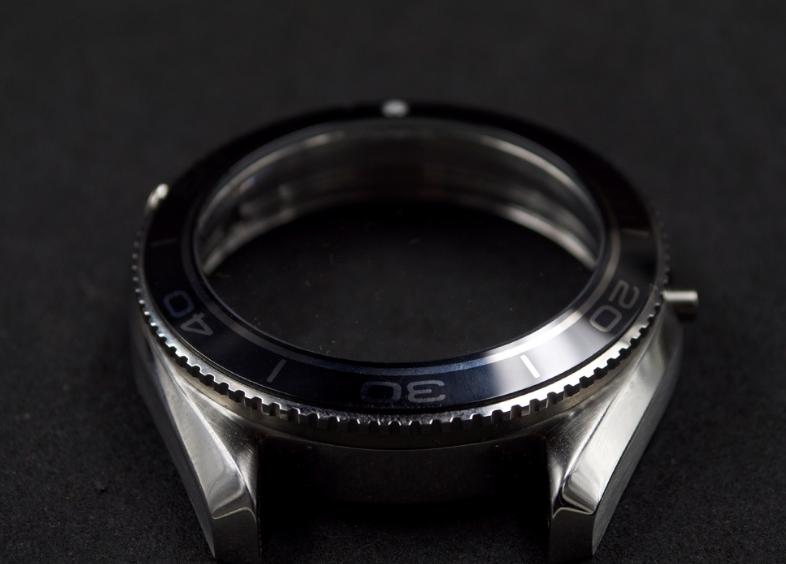 The onion-shaped crown is an iconic feature of Big Pilot, it is very easy to open and rotate, the fit between it and the case is also perfect, so the replica could be water resistant to 50 meters. 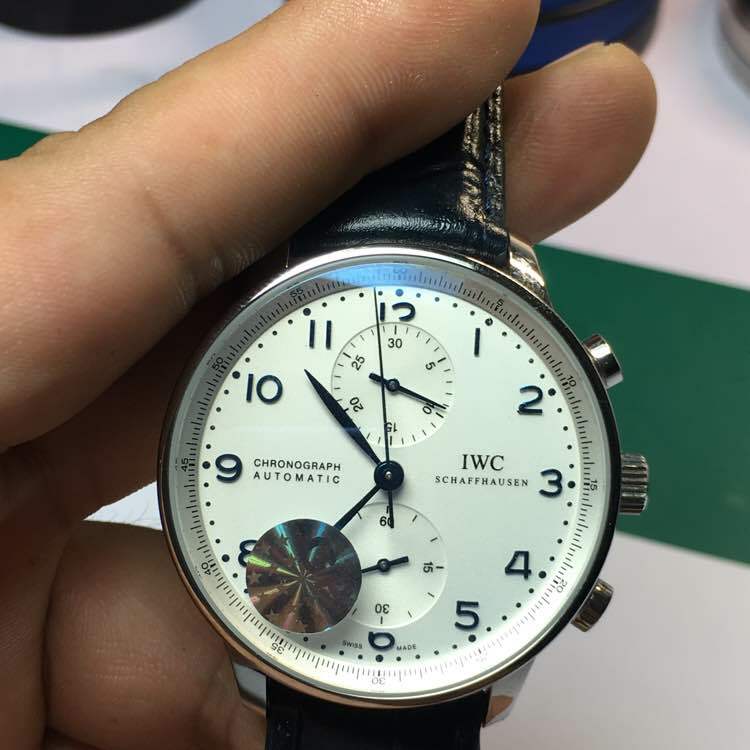 Finally, it is about the movement, which is an clone IWC 51111 automatic. 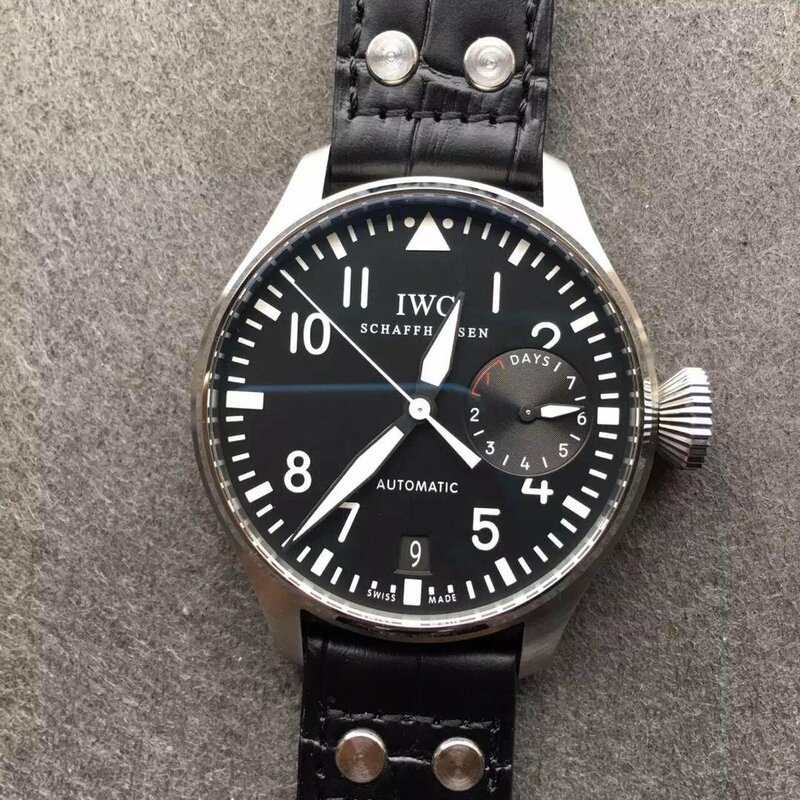 The movement has a functional power reserve, so the indicator for remaining energy is working, not faux like the one on previous IWC Big Pilot replicas. 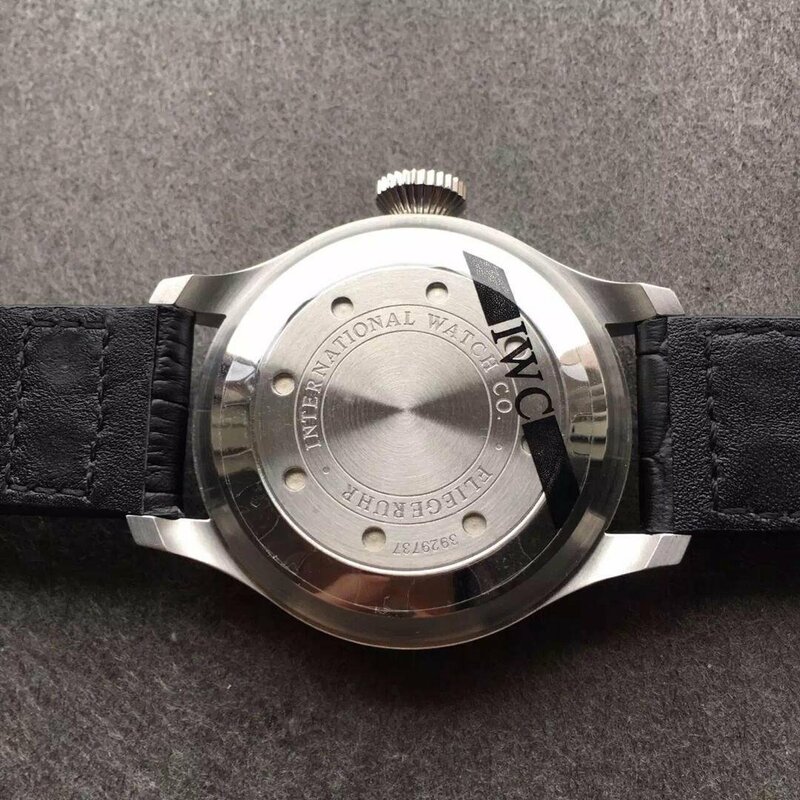 If you have a chance to own such a replica, you should open the back, and will find the reason why it is is sold at a high price, and the progress the replica watch factory has made. 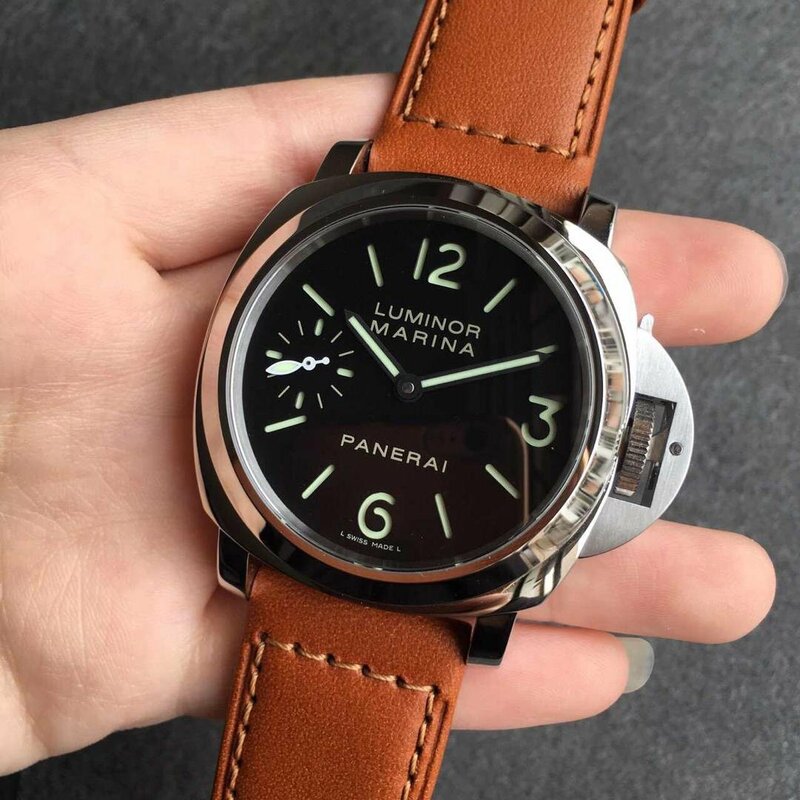 I did not give too many reviews on ladies watches, all replicas reviewed here are for men, they look strong and most of them are particularly made for special purpose. 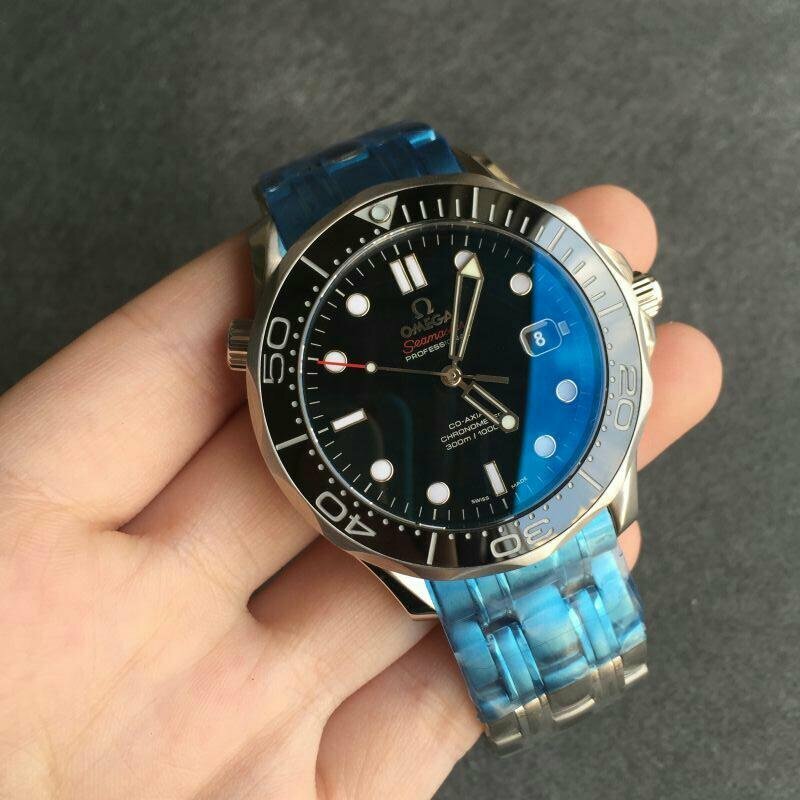 Some readers here asked me whether there is good quality replica watches for ladies, maybe they want to buy one for their girlfriend or wife. 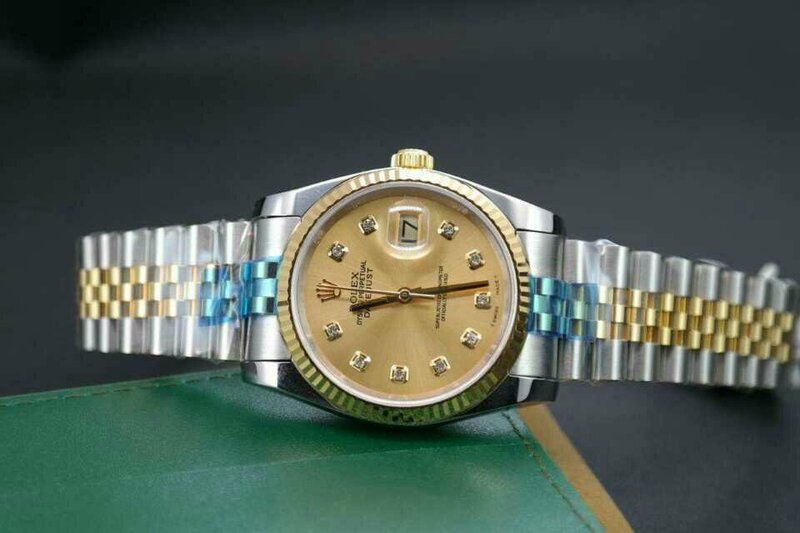 Actually there are a lot of good ladies watches in our market, such as Cartier, Chopard, etc., Rolex also has their ladies collection, the 36mm and 28mm Datejust or Day Date are all made for ladies. 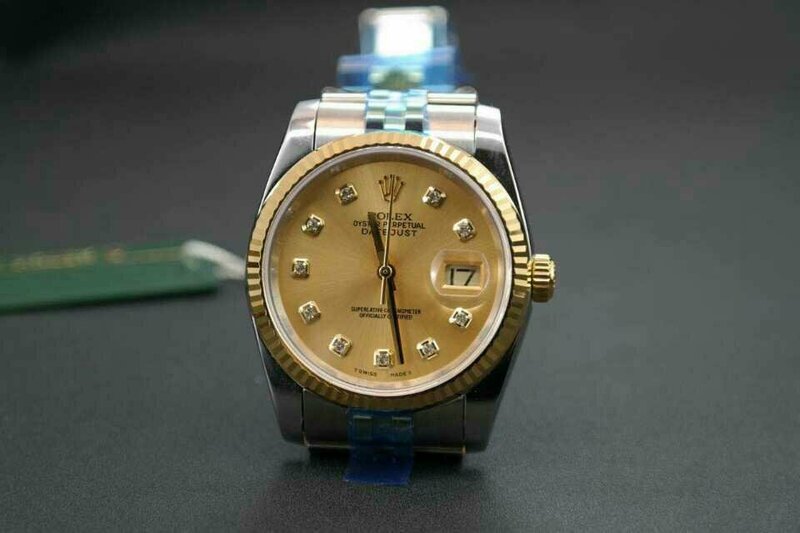 Here I am going to introduce one replica watch, it is a champagne gold Datejust, in 36mm, which is a medium size and will fit the wrist of most women. 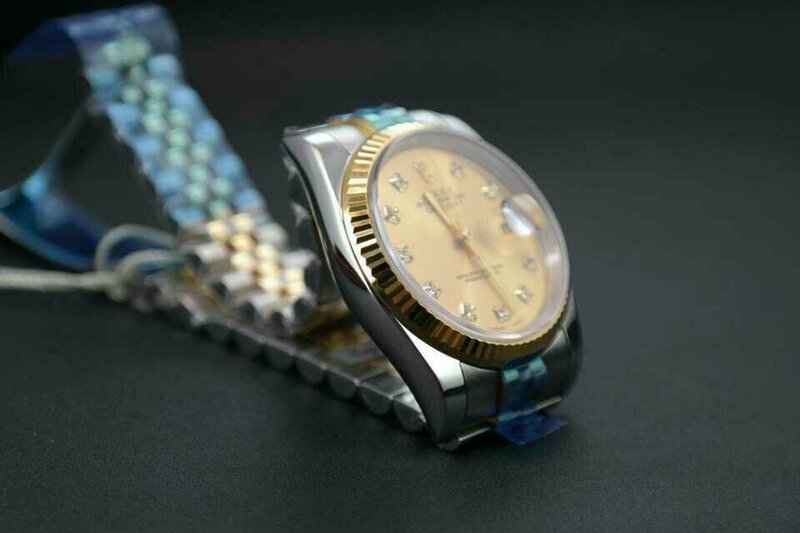 The two tone is a very popular style, and the diamonds on dial add more luxury feeling to this gold replica. 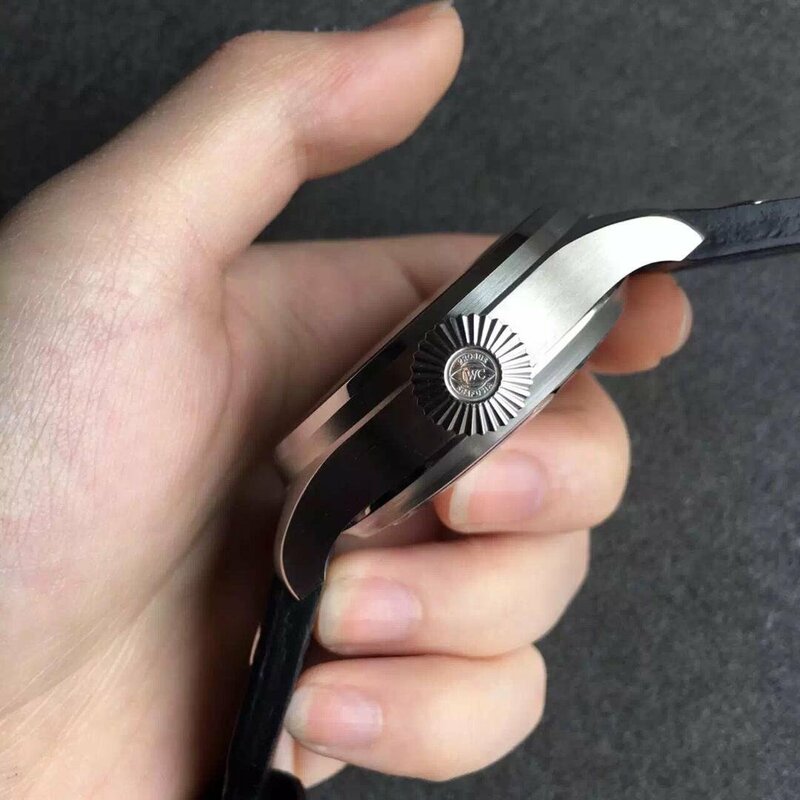 The watch has a steel and champagne gold color, fluted bezel is champagne gold plated, like the three middle links of the bracelet. 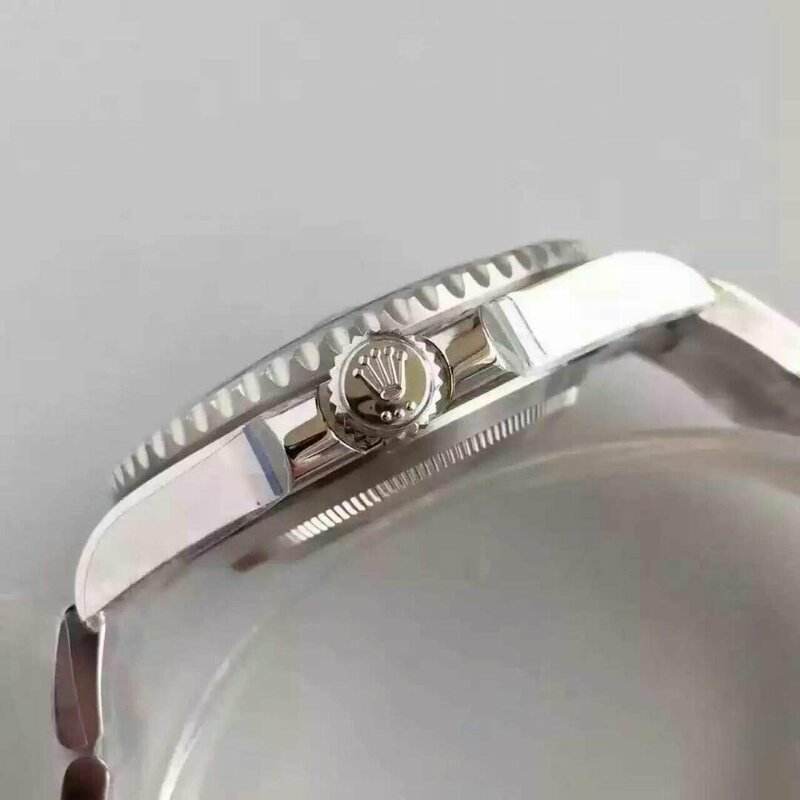 The dial is the place that perfectly shows the feminity of the Datejust watch, besides its champagne gold color, the diamond hour markers are also the most common decoration which you could find on a lot of ladies watches. 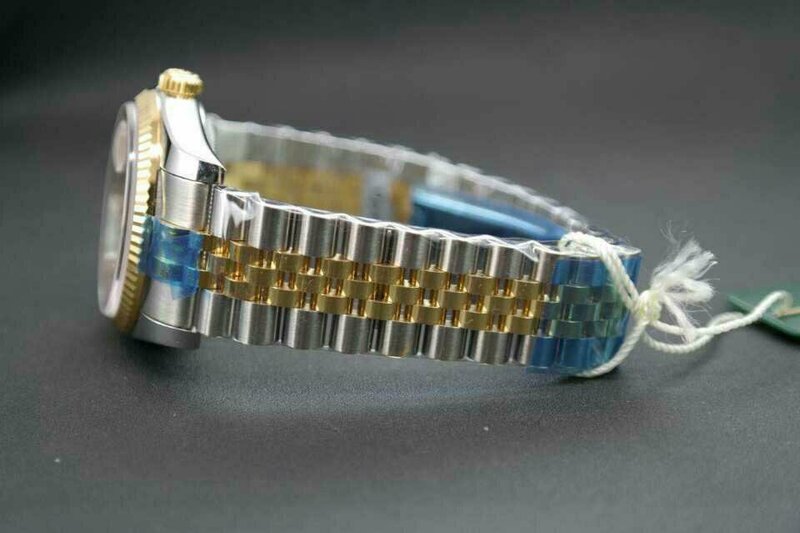 The bracelet contains five sections of links, the middle three links are golden, which are in line with the gold tone of bezel and dial. There are two golden versions for this replica, one is gold-plated, the other is 18k wrapped gold version, absolutely the latter is the best, but its price is also very high. 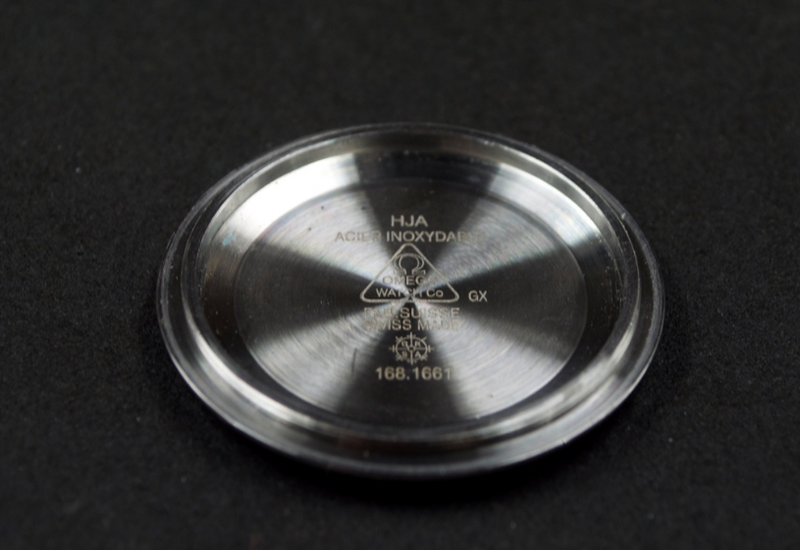 Crystal is sapphire, which is highly resistant, the magnifier on the crystal is anti-reflective, through the magnifier, the date is clearly readable – black date font on a white background. 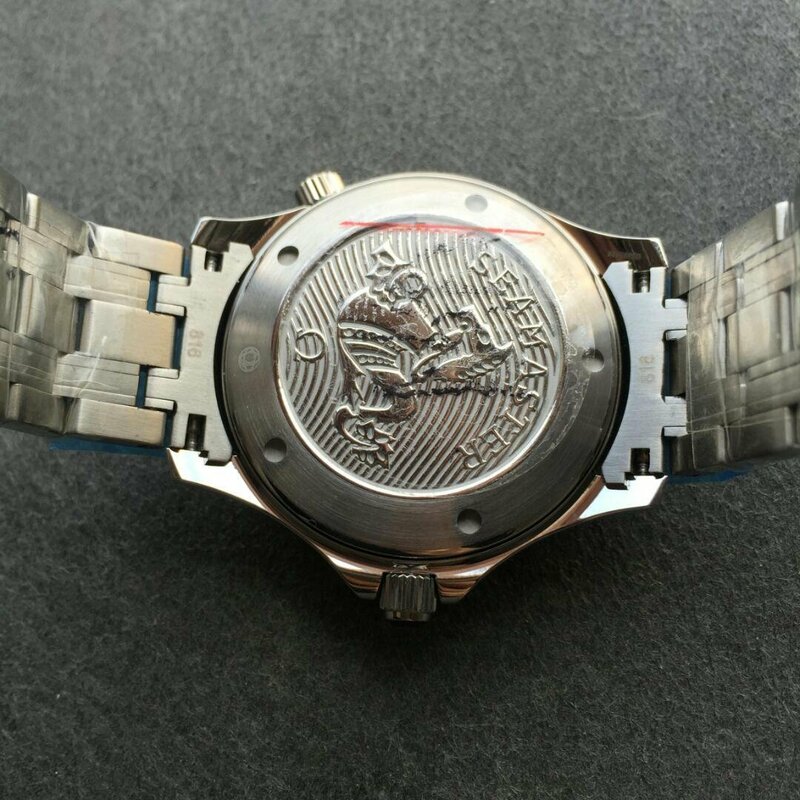 The replica is made by BP factory, the 2824 movement inside is an Asian clone one, not genuine, we also call it Sea-Gull 2824, because it is modified from a Sea-Gull automatic movement. Look at the golden crown buckle, it fastens the clasp tightly. 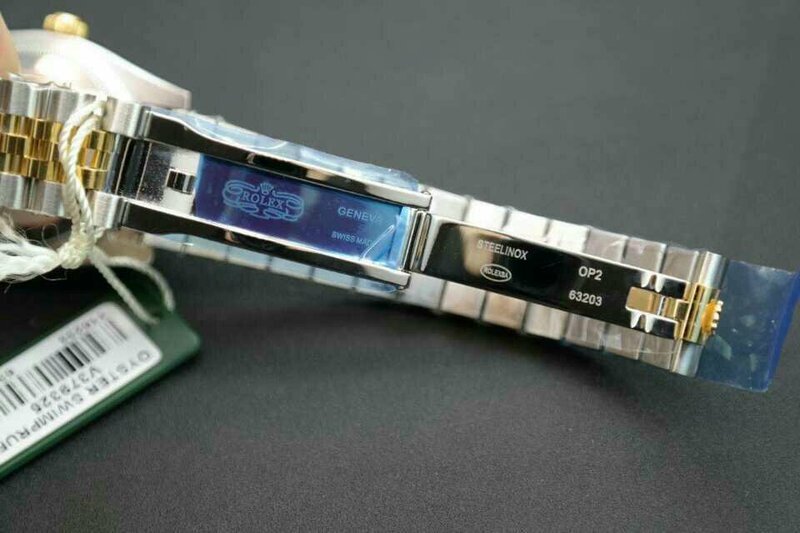 Clasp engravings are all correct, they are completed by laser. 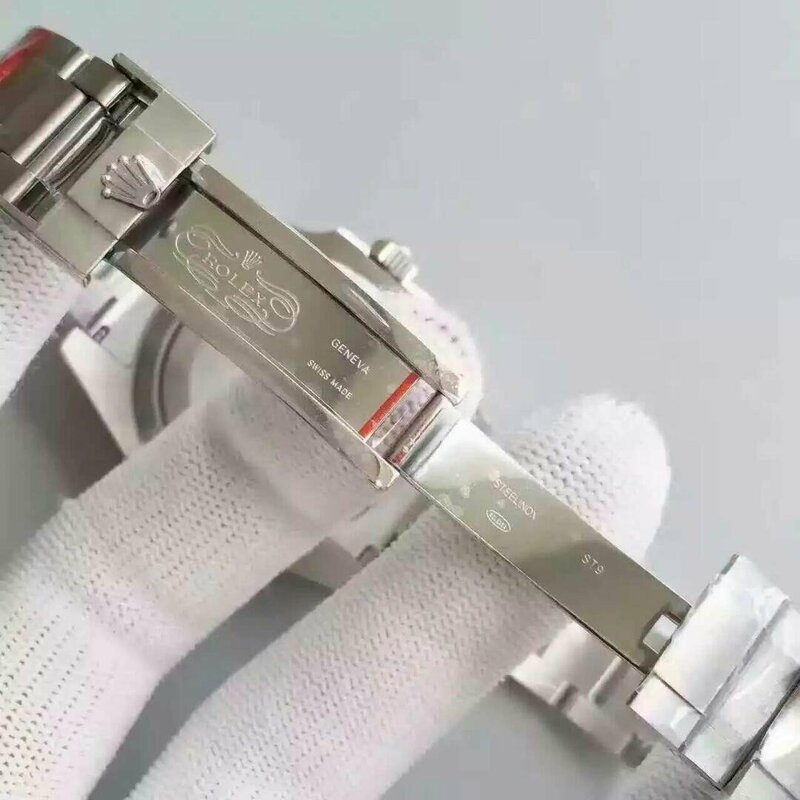 Now, from this post, we will introduce more ladies watches on our blog, and in the coming Christmas, we will send some gifts along with your watch package. 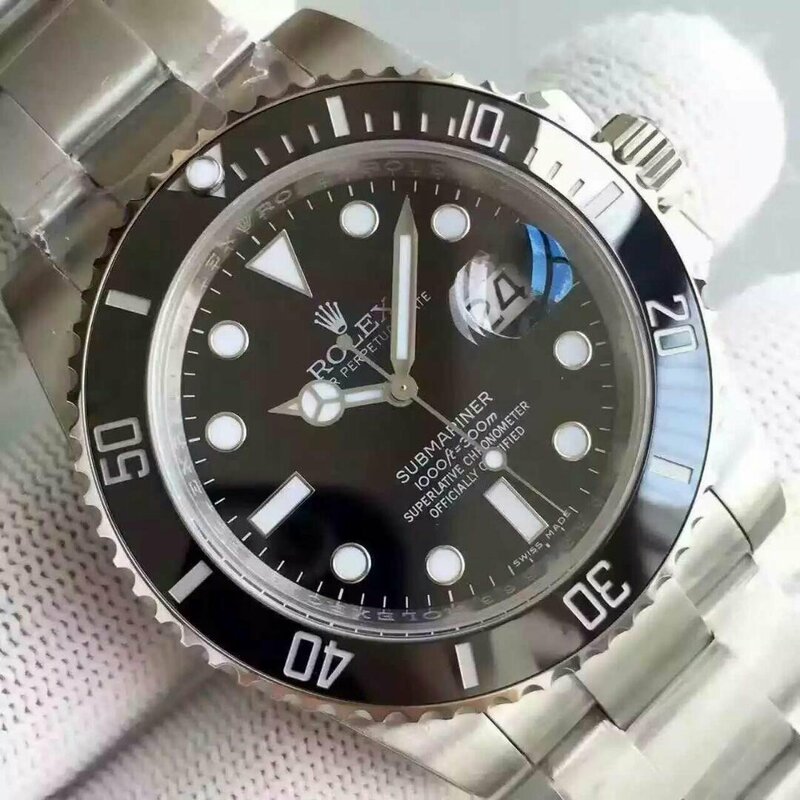 Rolex has always been the most favorite brand in watch industry, so is in fake watch world. 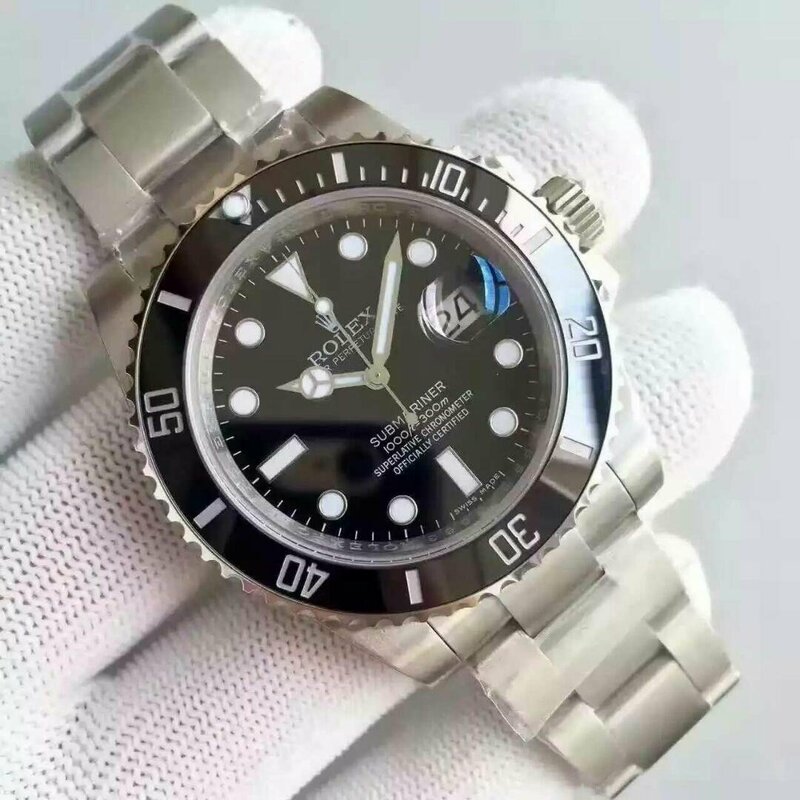 Especially its Submariner model, which is the most sought after diver’s watch, every one who has ever dealt with Rolex must know Submariner, and those people who want to buy a Submariner watch will firstly think about 116610LN. 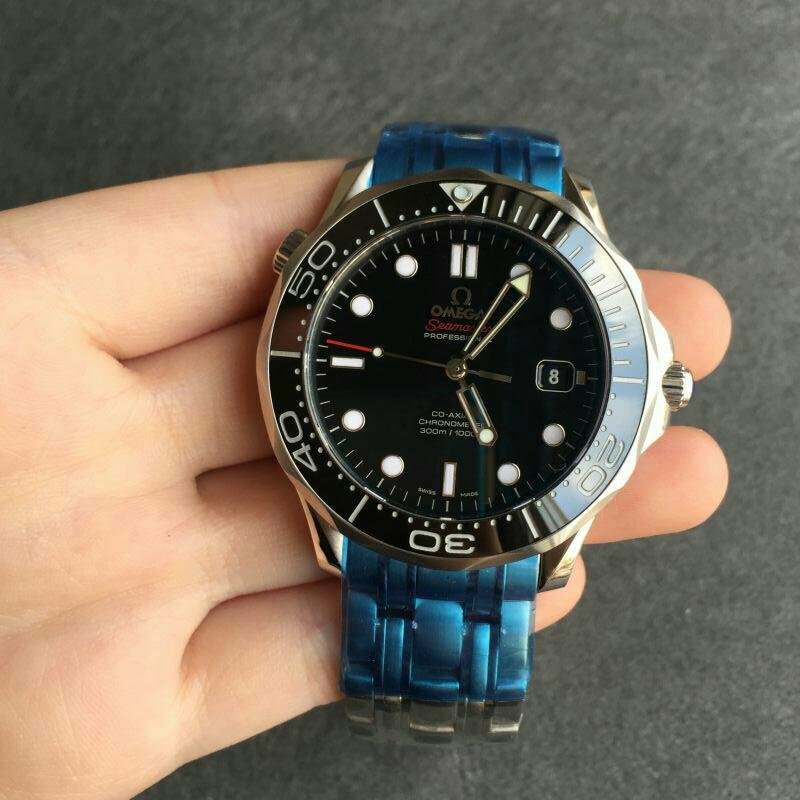 Yes, I has been in replica watch business for nearly ten years, I know the development process of replica watches and also understand how much amount of need for them. 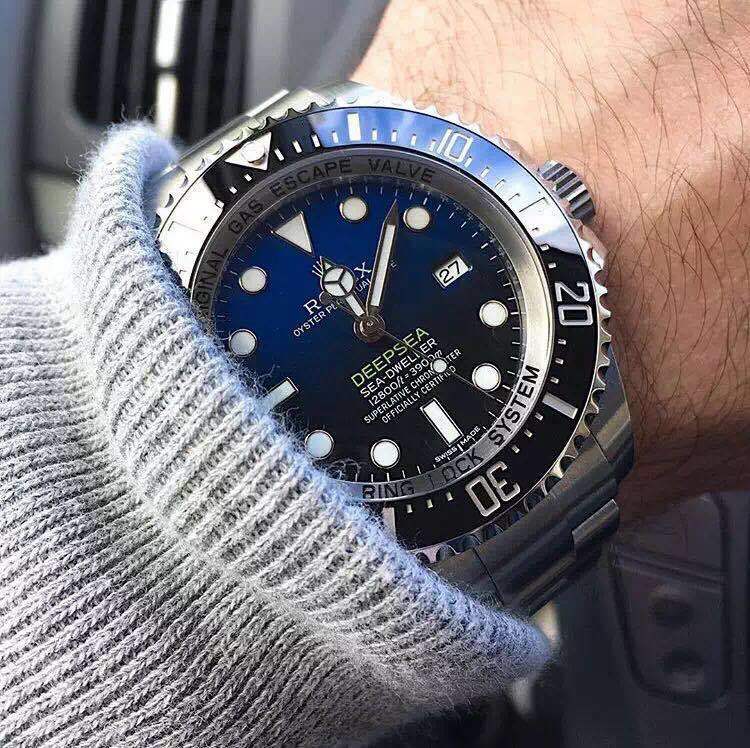 Compared with green and blue Submariner as well as Sea-Dweller, Rolex Submariner 116610LN looks more common and has a suitable size that is accepted by most watch fans, so I think this is the main reason why it becomes the first Submariner choice. 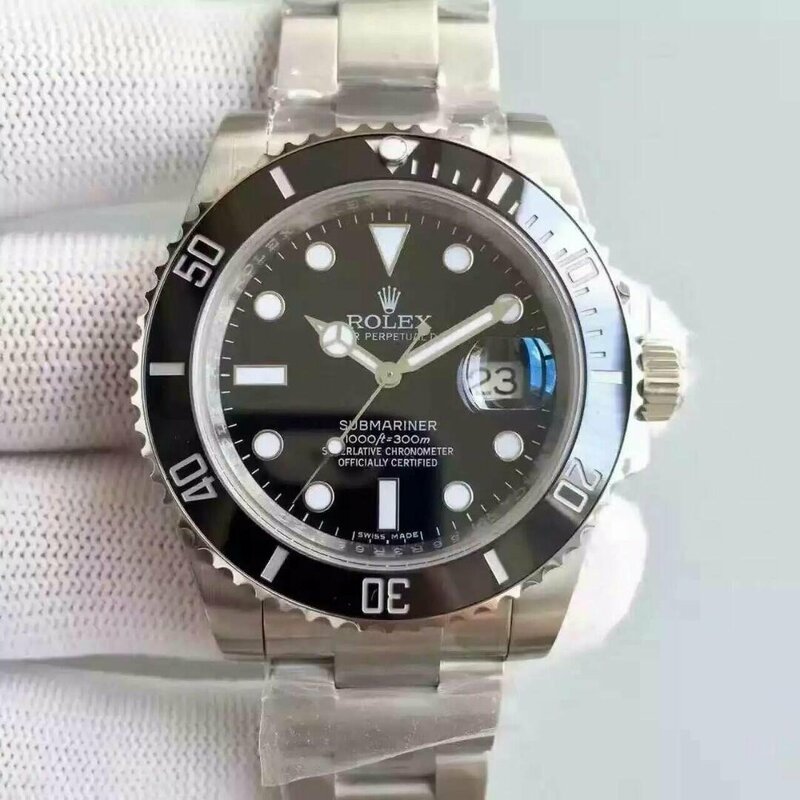 Here the watch I am going to review is its superior replica, which was manufactured by Noob factory in 2016, this was the seventh time for the factory to improve the replica, so we call it V7 Submariner 116610LN. When see this replica at a first glance, your eyes will be immediately caught by it, you can not believe how high quality it is and absolutely the replica gives you a 100% real feeling. 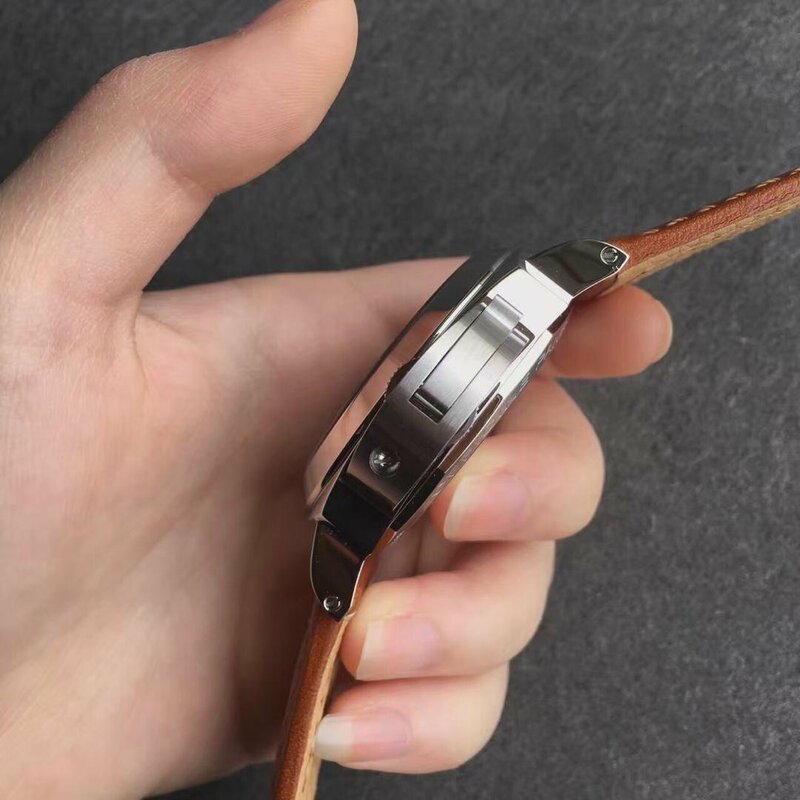 With considerable weight, the replica watch feels very nice on hand, I mean the feeling you get from a genuine watch, you can feel its quality texture as well. This one is the best-selling and always in stock. 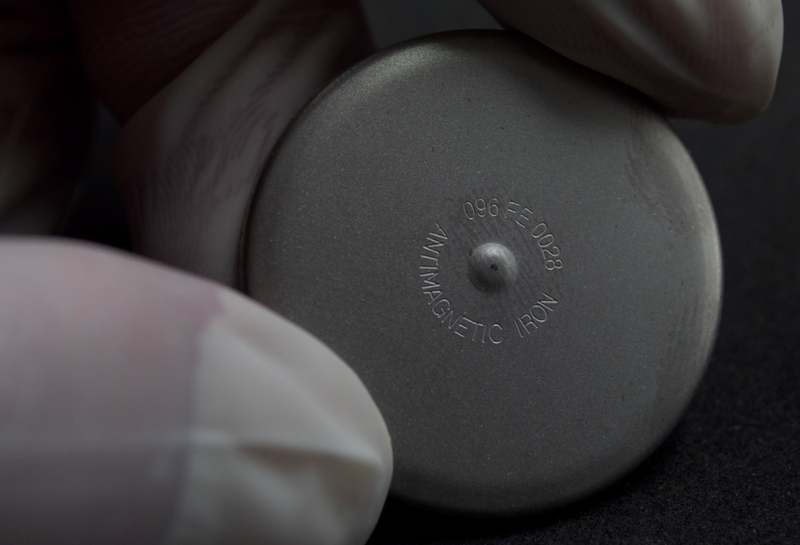 I hope the factory could improve it for the eighth, nineth or even tenth time, to make the replica 100% perfect, however for the one currently under my eyes, I already can not find any flaws. 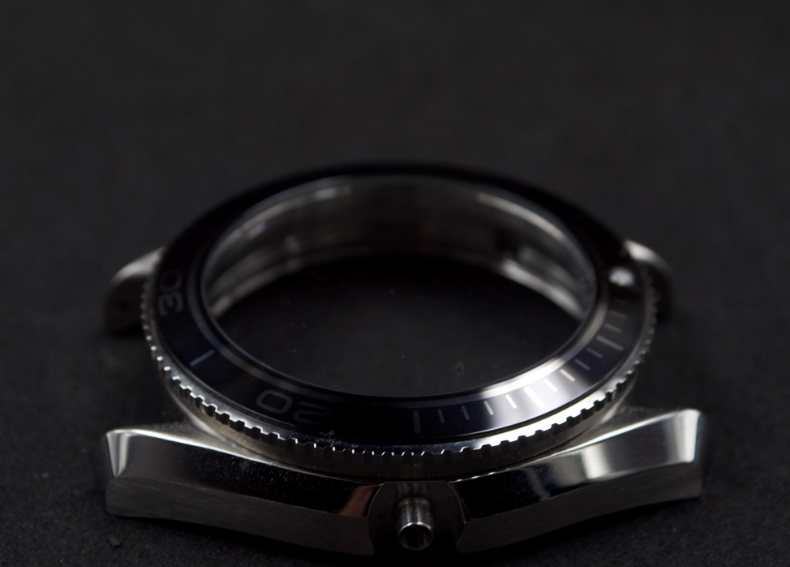 The case is in size of 40mm*14mm, brushed face on solid steel case and bracelet. 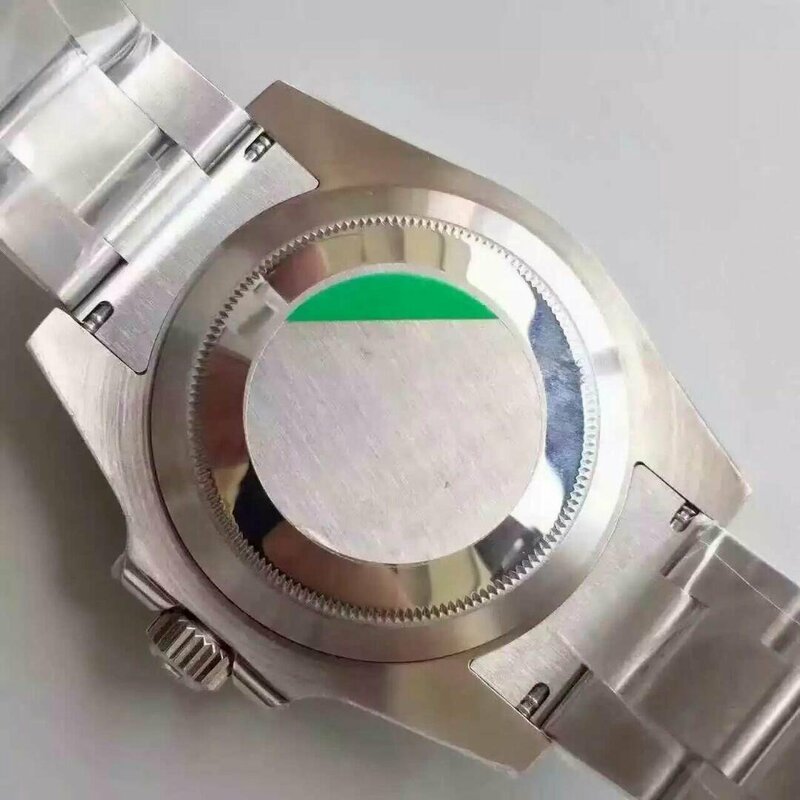 Every case edge is polished smoothly, the proportion of case construction is the same as genuine 116610LN, the factory manager usually went to some important watch exibitions like Basel World to buy some genuine Rolex watches, he loved to disassemble them and study every component of genuine watch, so the Rolex replica watches coming from this factory are the best in our market. 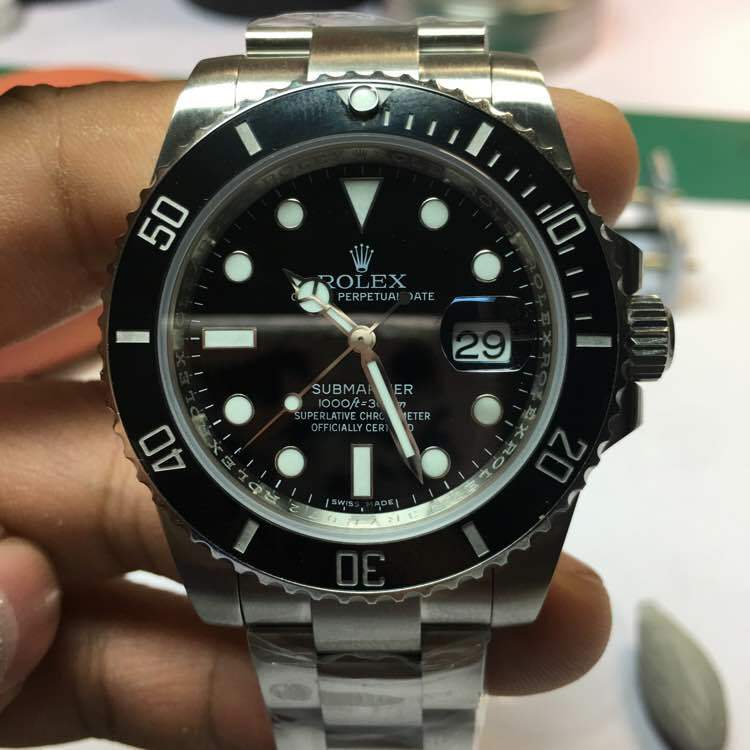 Back to this 116610LN, the bezel uses real black ceramic material, actually the bezel will become an obvious flaw spot for other cheap Submariner replicas, but for this Noob 116610LN, the ceramic bezel is its big selling point, because whether the pearl or bezel engravings, they are without fault, especially the diving engravings, their matte finishing and platinum tone make you can not put the watch down. 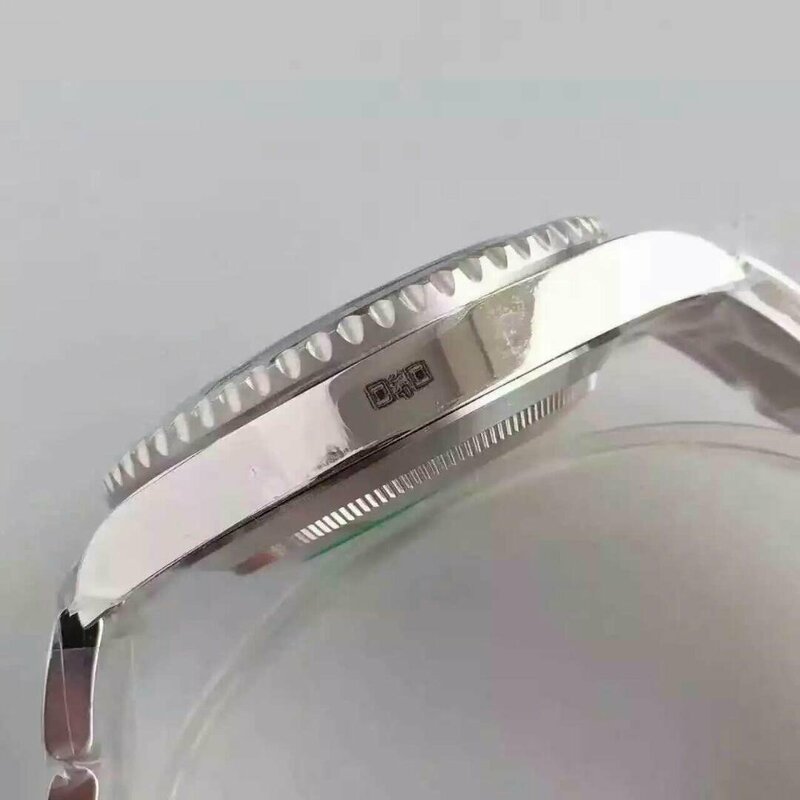 The bracelet consists of solid steel links, the gap between ecah link is not big so you will not feel it is loose like you usually get this feeling from cheap Rolex. 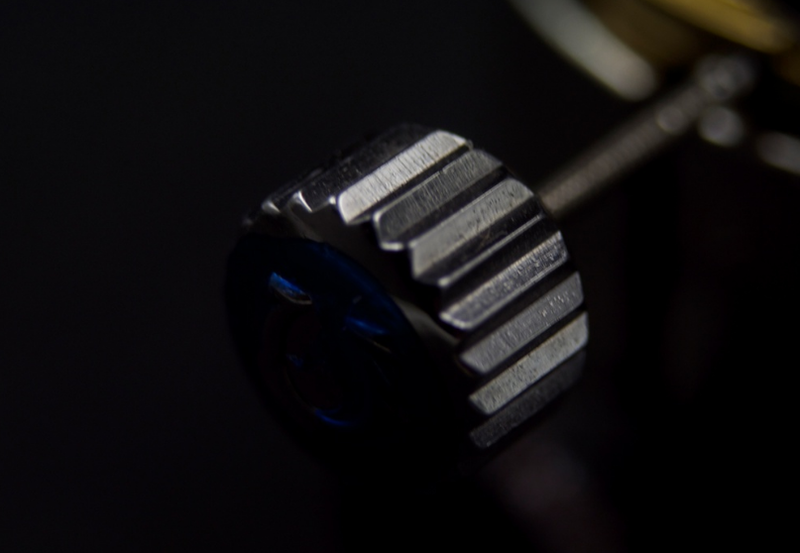 This is a high end replica, so the movement will also not disappoint you. 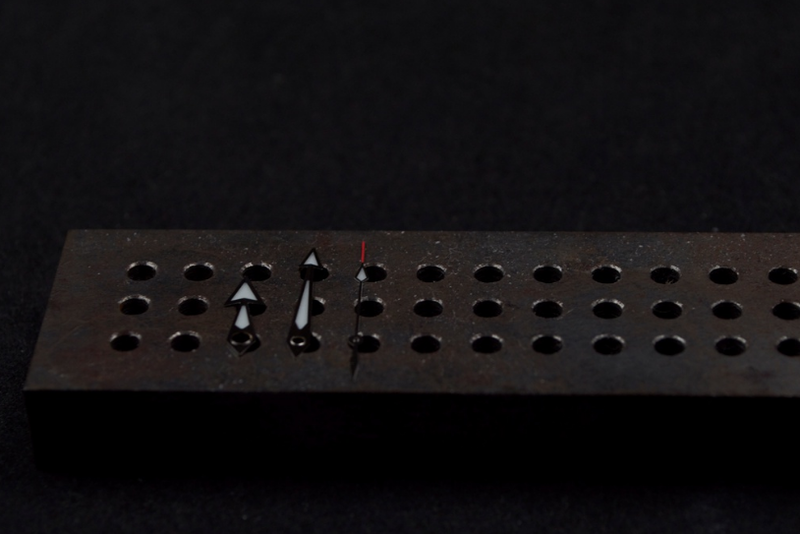 Noob factory offers you two movement options, one is with ETA 2836, the other is super clone 3135, which was developped three years ago and has a good accuracy. 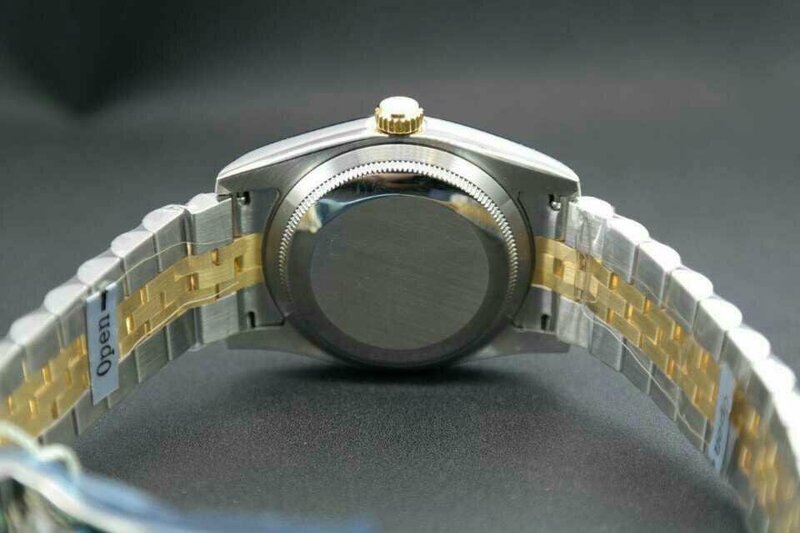 Two movements completely offer two different winding experience. I like 3135, because my fingers feel more comfortable to wind. 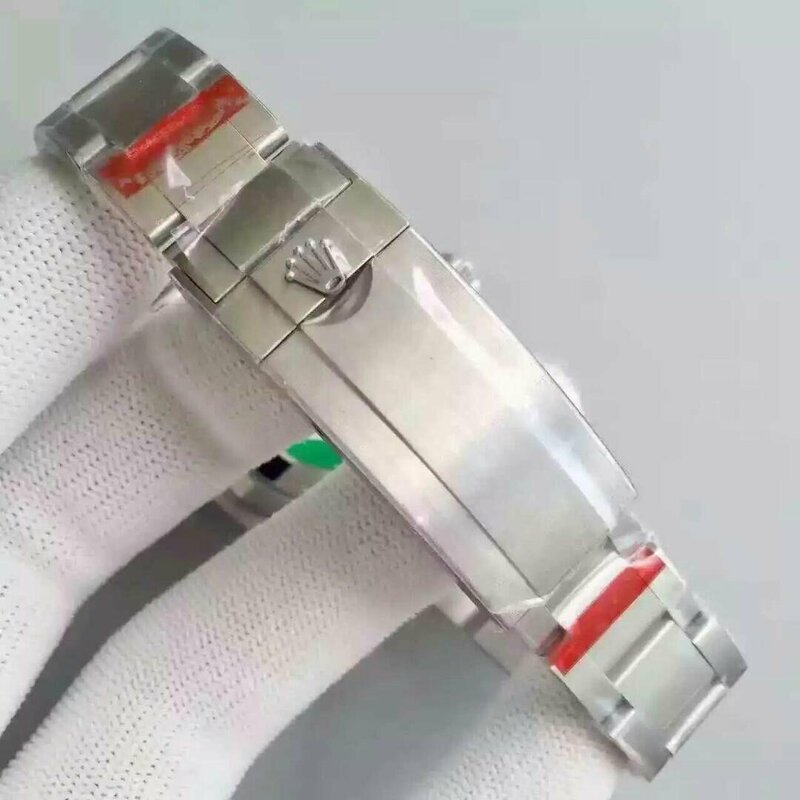 There are so many other improvents which the factory has made on the replica, now I must go to bed, I will introduce more good quality replica Rolex watches here, thanks for taking your time to read this review. 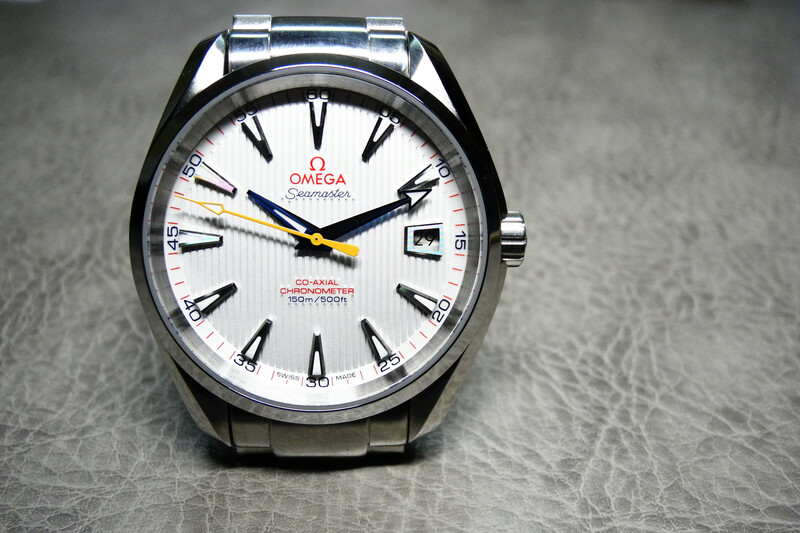 I have reviewed several Omega watches on my blog, they are all Planet Ocean models, which are the latest modern Omega Seamaster collection. 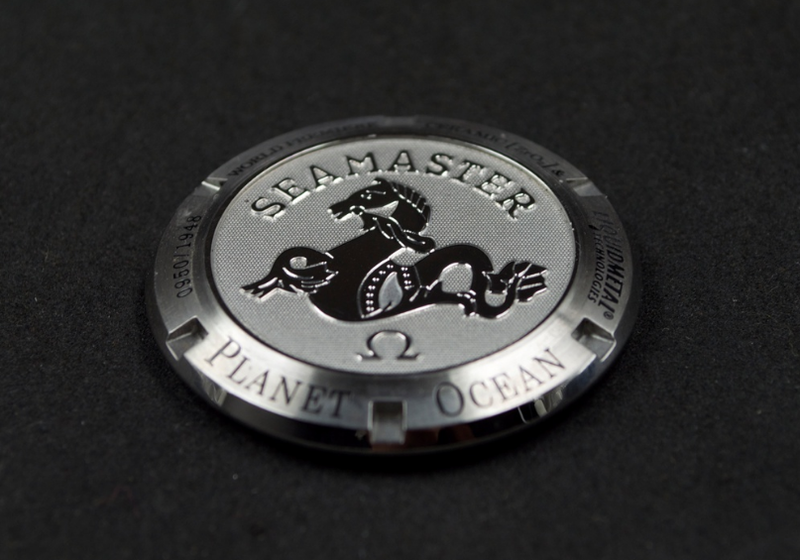 If you are looking for something that is in the blood of Omega Seamaster, then this one is. 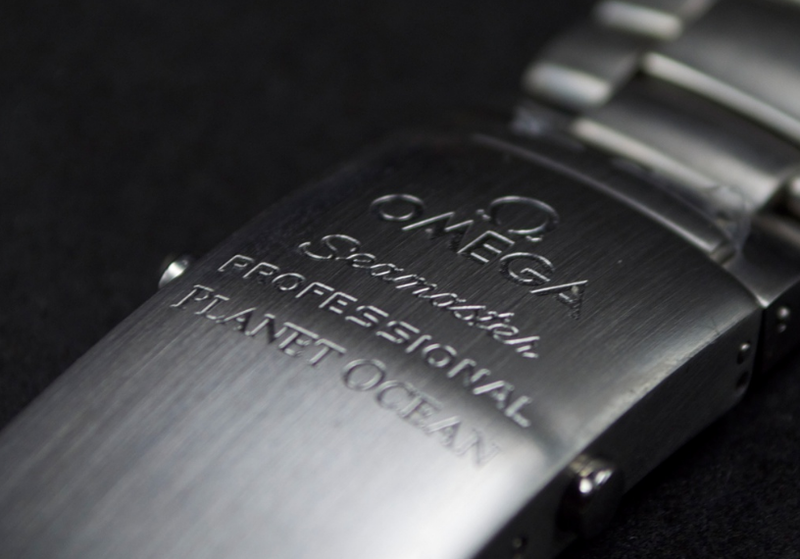 The watch here is an Omega that has inherited the most authentic features of Seamaster 300 series, but its design also meets the aesthetic view of modern people. 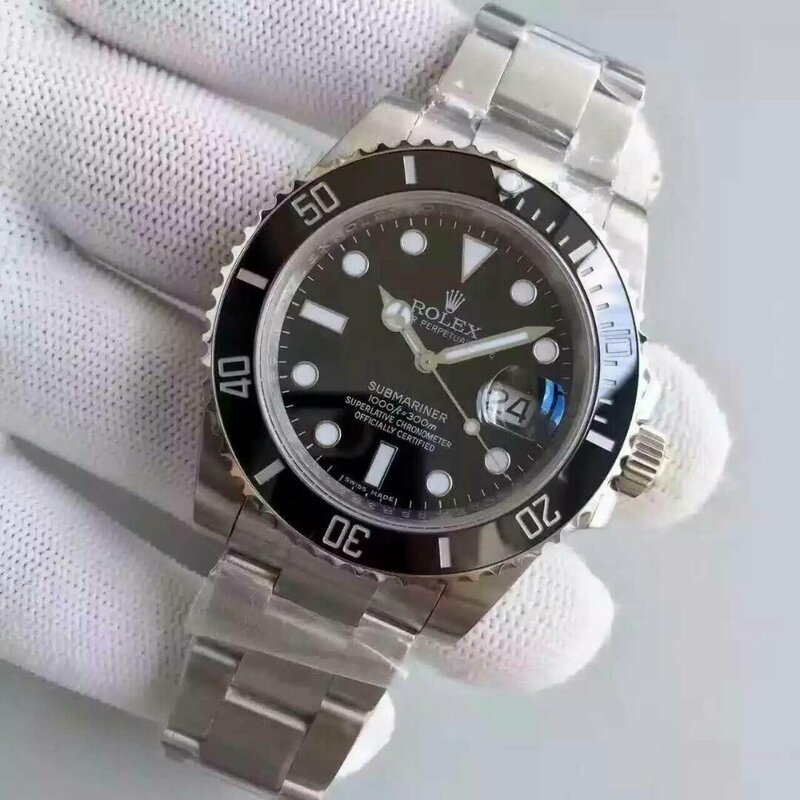 The watch being reviewed is an ultimate replica, I do not know which exact factory it is from, but its quality and replicating level are very high, which could be even compared with Blancpain Fifty Fathoms from Noob factory. 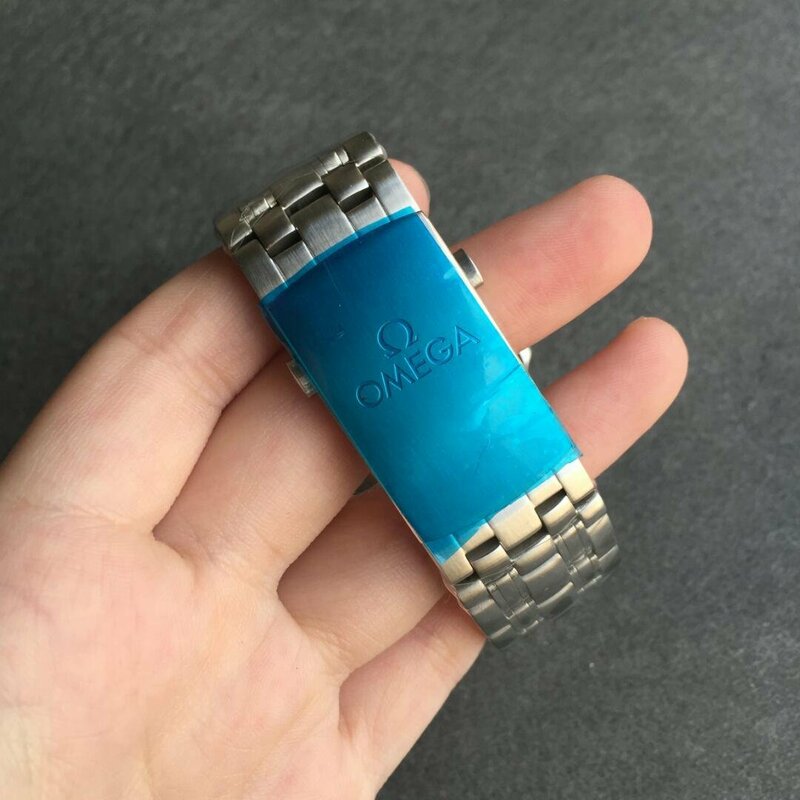 The replica Omega is in black, there is also a blue version. 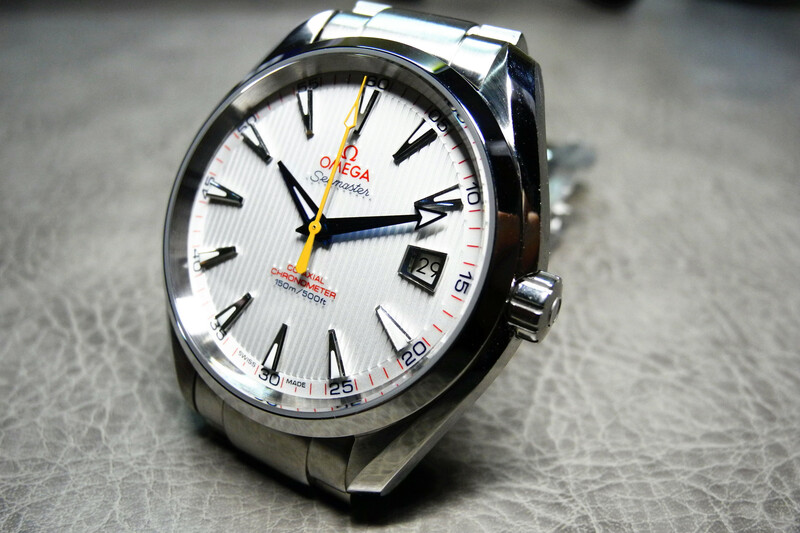 It is the best 41mm Omega replica watch I have ever seen. 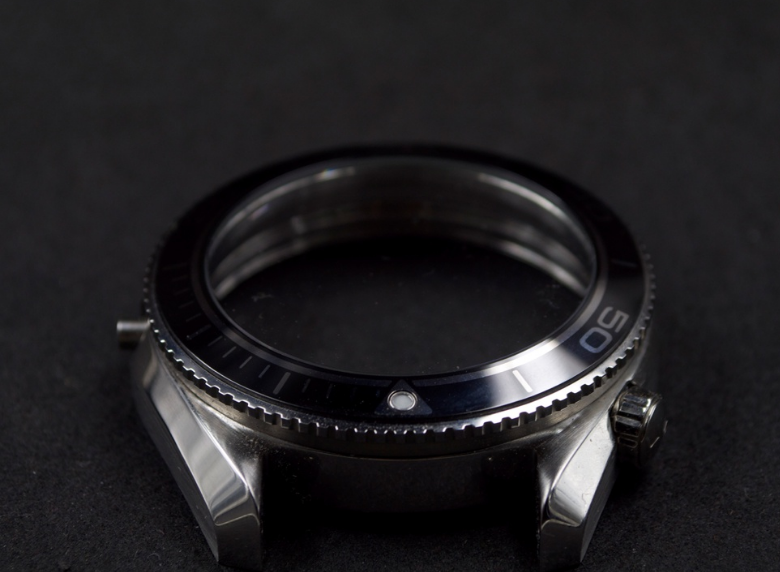 316L stainless steel case has polished lugs on front, the sides are brushed. 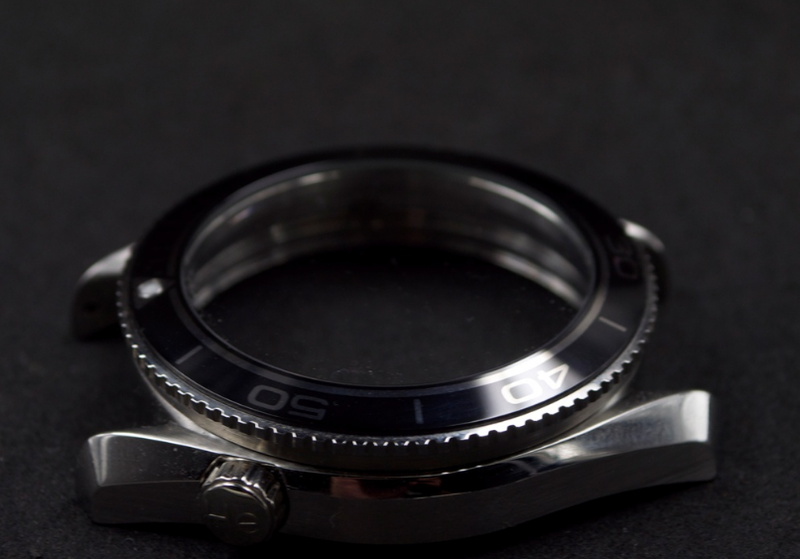 The wave-shaped bezel is different from Rolex Submariner’s small clicks. 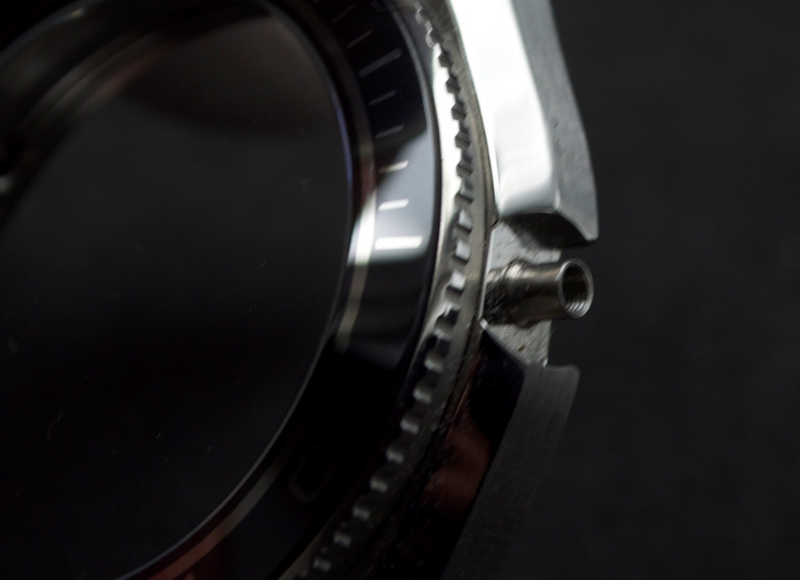 The bezel is rotatable and has white deep engravings on the ceramic insert. 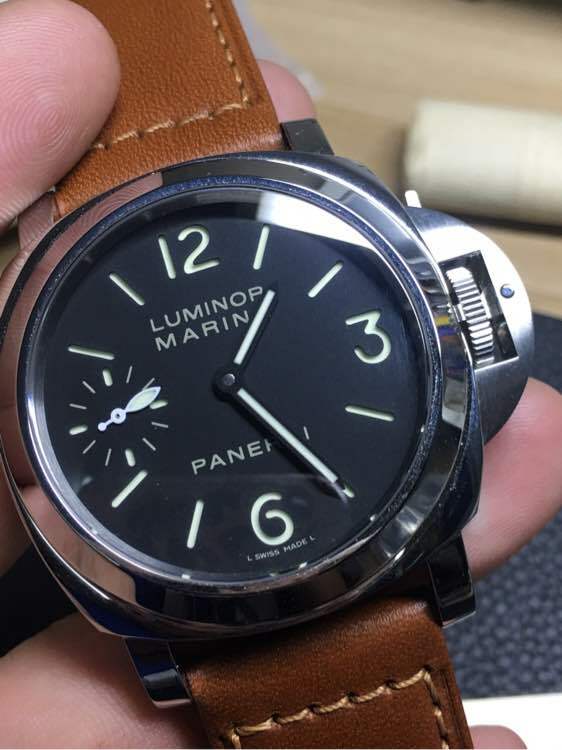 Please check the pearl on the bezel, it is also different from Submariner’s, the latter looks more raised and round. Seeing from the side, the case is cut very well and has beautiful arc lines. 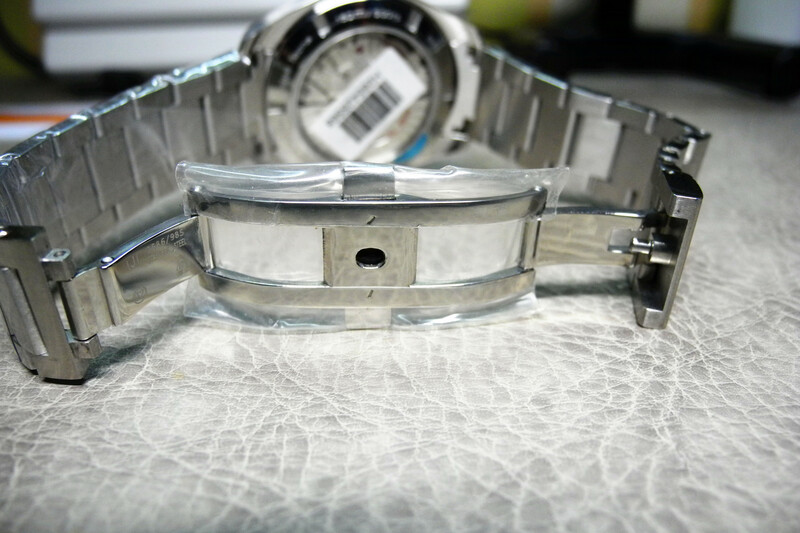 The crown, which is protected by two steel guards, seems to be better integrated into the case. 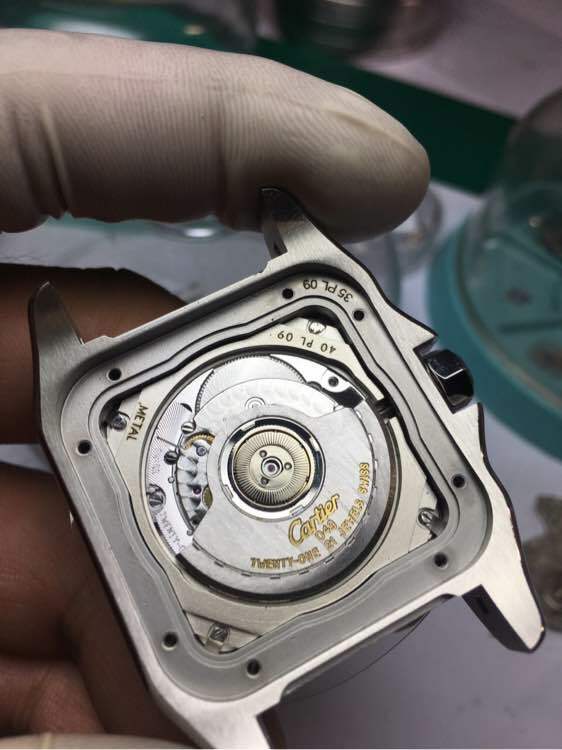 On the other side of the case, there is another crown at 10 o’clock, it is for Helium valve release. 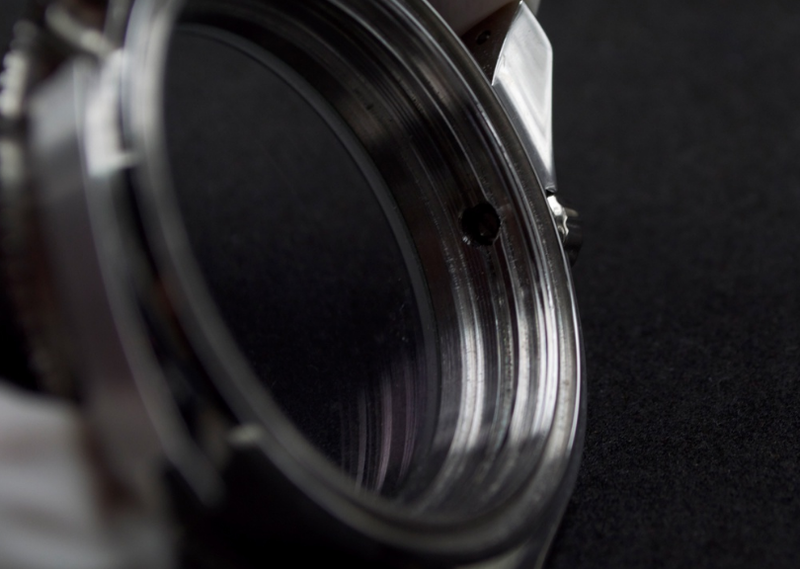 Frontal crystal is made of sapphire, the surface has a layer of anti-reflective coating that looks a little purple when seeing at a certain angle. This features on the replica is 100% the same as genuine. 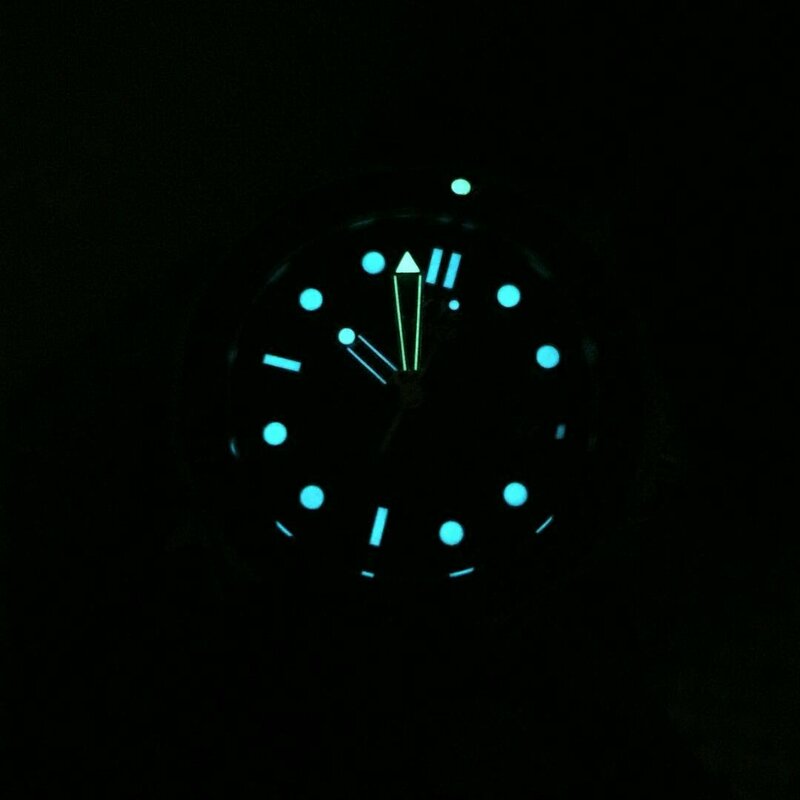 Black dial does not have special points, like other diving watches, it has a strong lume effect. 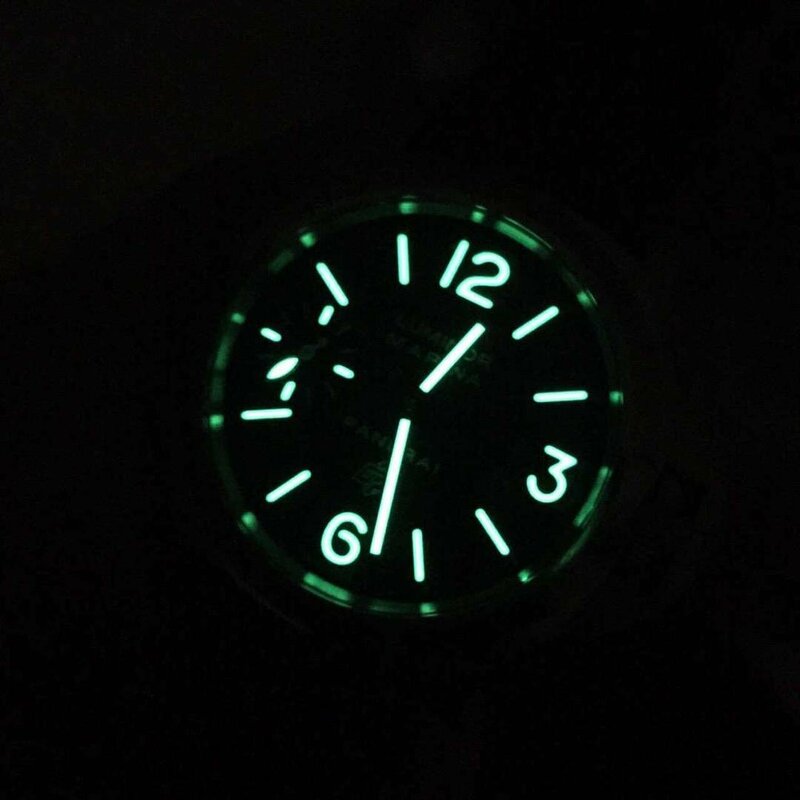 See the dial lume picture below, you can see there are three different lume color on the dial. 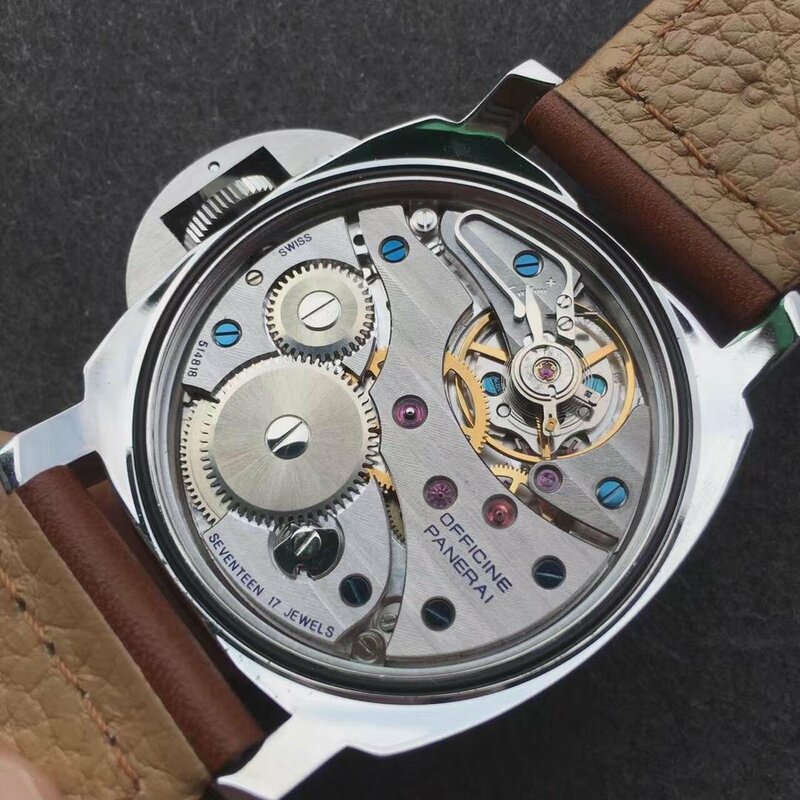 The skeletonized design of hour and minute hands is also my love about the replica. 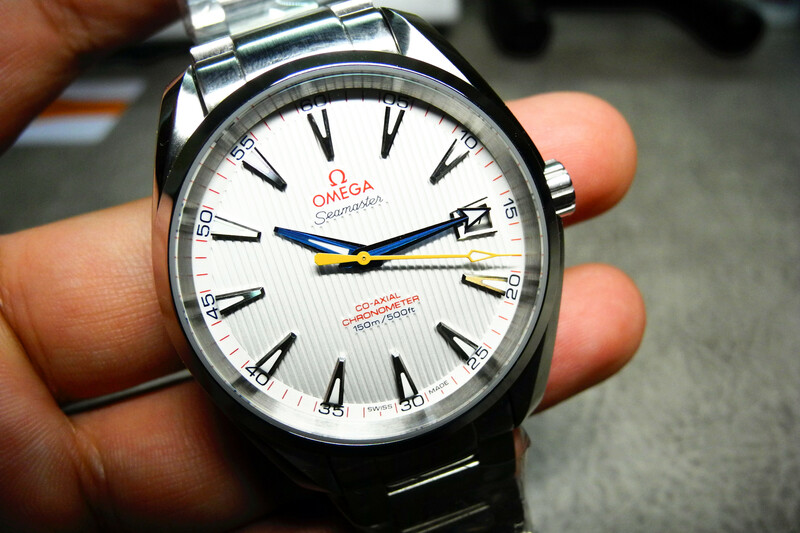 Central second hand has a red tip that just echoes with the red “Seamaster” lettering below OMEGA LOGO. I have to say the skeleton design of hands is a little similar to the feel which the bracelet gives to me. 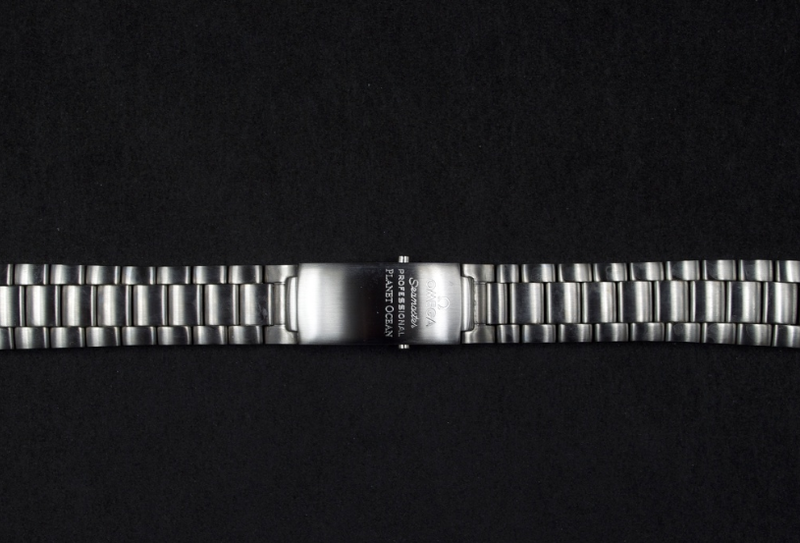 Finally it comes to the band, which is fully brushed stainless steel bracelet. 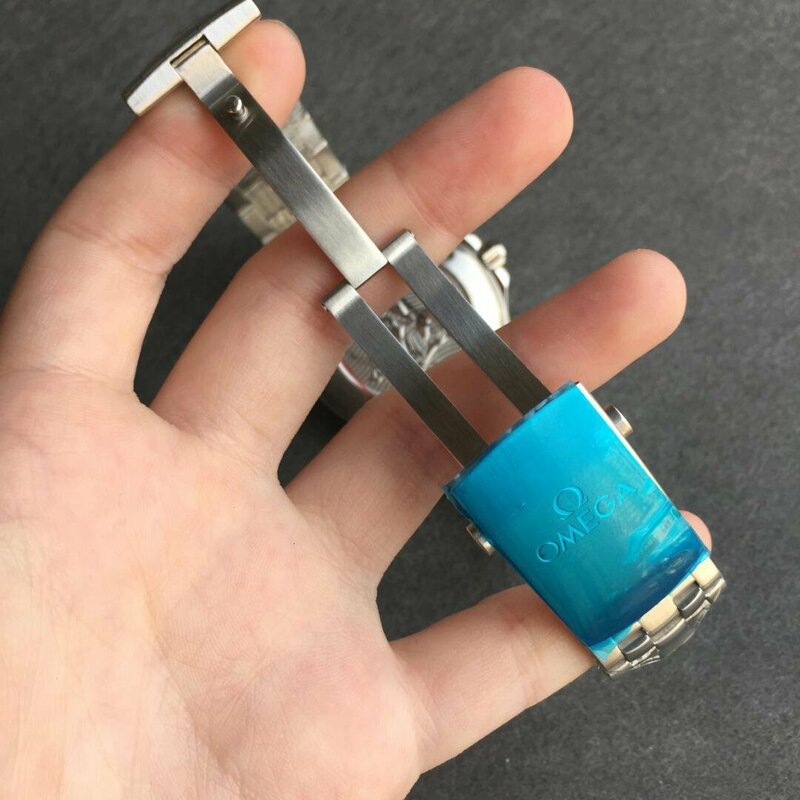 I can not find a professional word to describe the bracelet, but actually I find its design perfectly matches the whole theme of the replica watch. 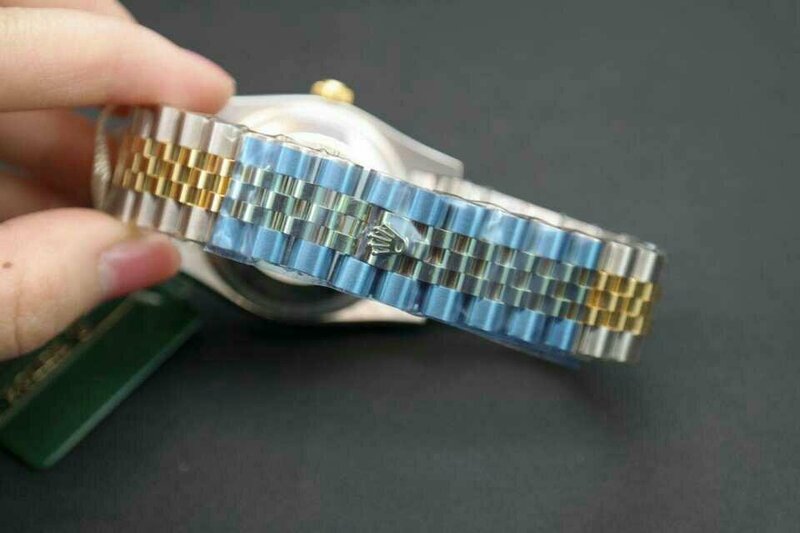 I can not find any other bracelet on this watch that will have such a design similarity to its hands and bezel. 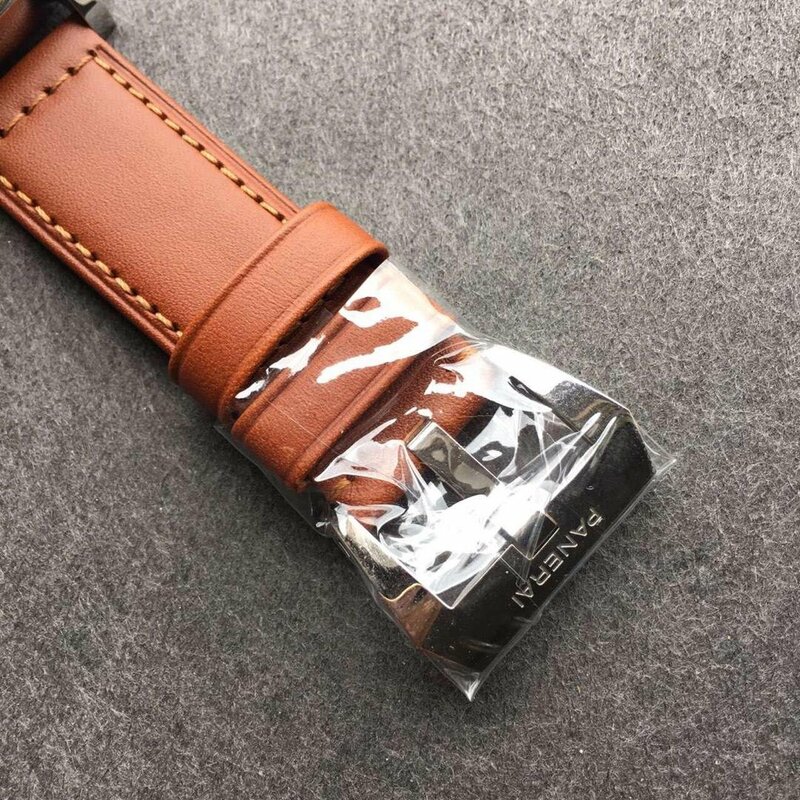 Perhaps a vintage nato strap will also work fine. 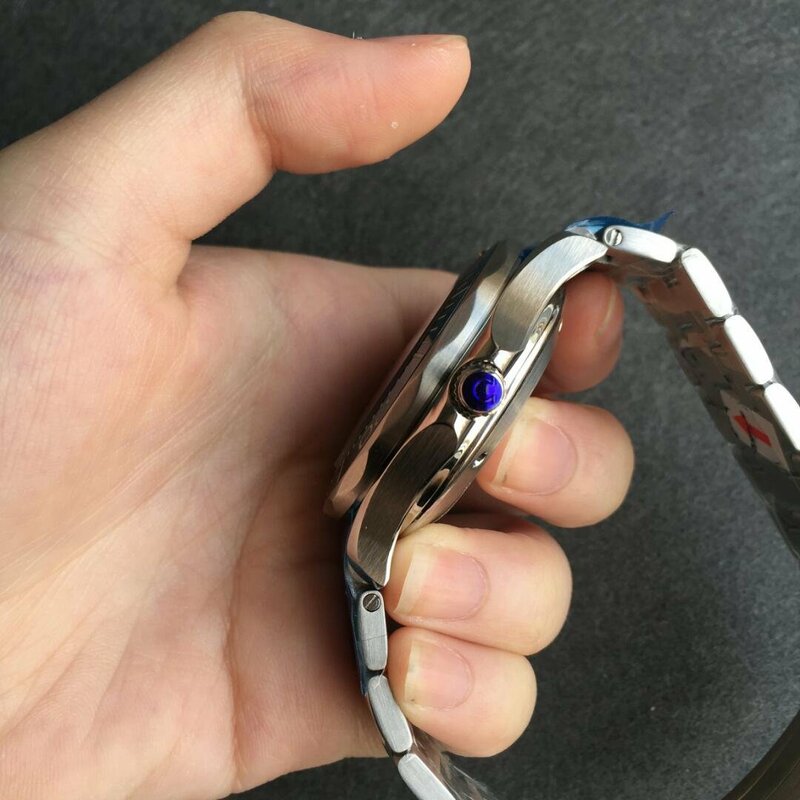 The bracelet looks a little loose on my wrist, but the watch body seems to be very nice, I love big watch.